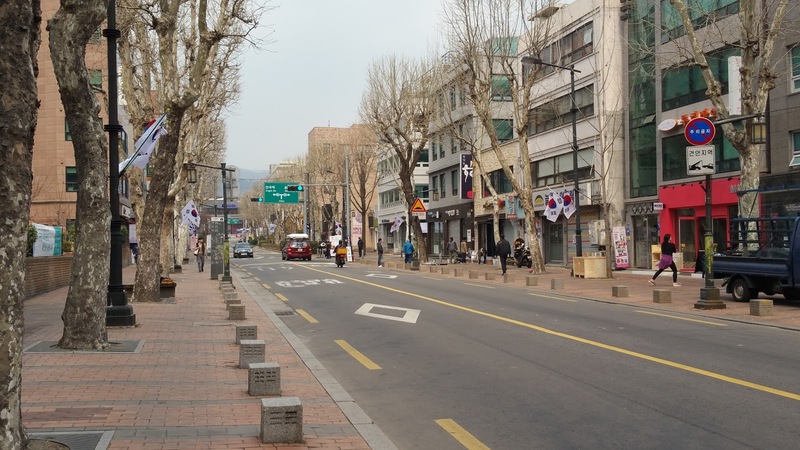 After breakfast in our room, consisting of some stuff we got from the supermarket the day before, we set out to get a Seoul City Three-Day Pass for subways, buses and the Hop on Hop off-Bus. 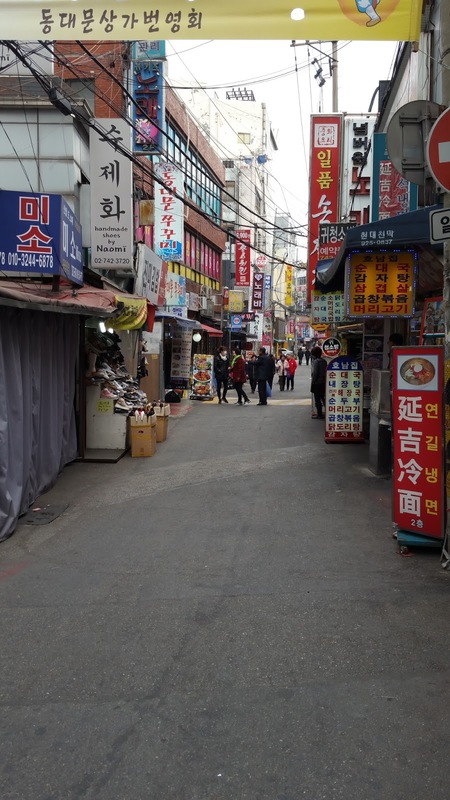 Nearby our hotel was a convenience store, but nobody seemed to understand, what we want. 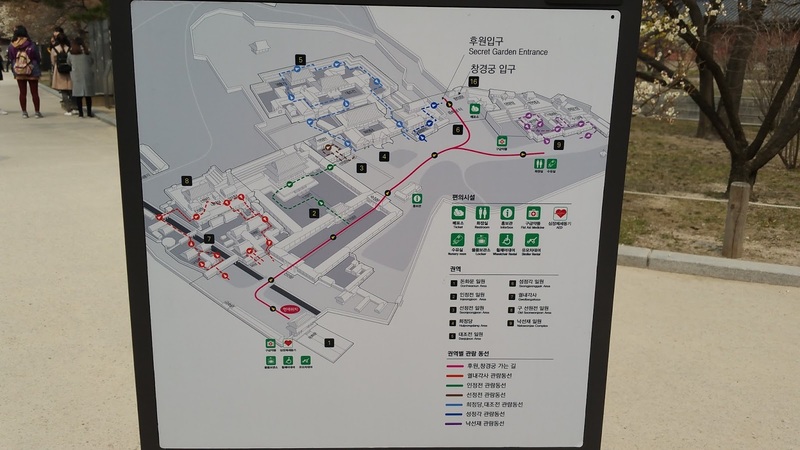 Then we looked at the ticket machines and for an information booth inside the Seoul Subway Station, but couldn´t find anything. 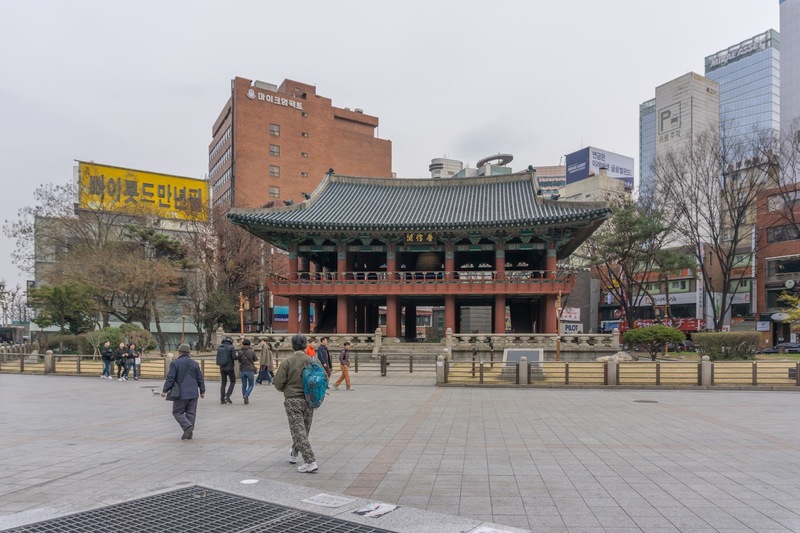 Then we walked to the Seoul Train Station, where we were told at the information counter, that we should go the far away Tourist Information or the subway station. 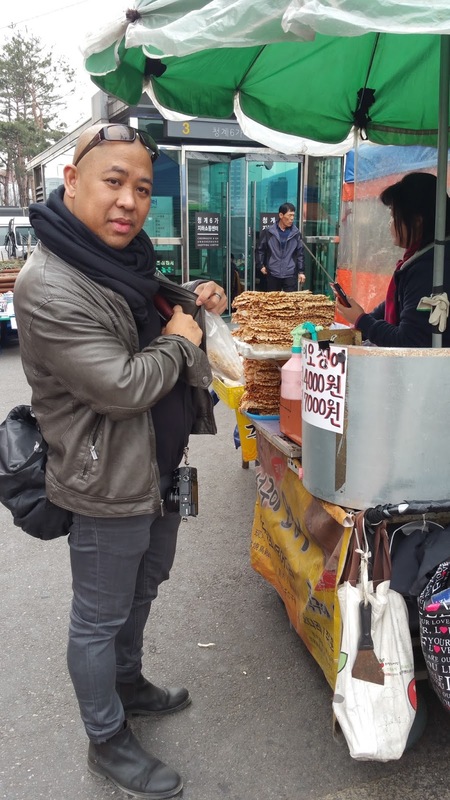 That´s when we decided to forget about the day pass and to just use our T-Money-Card, that we bought the day before. 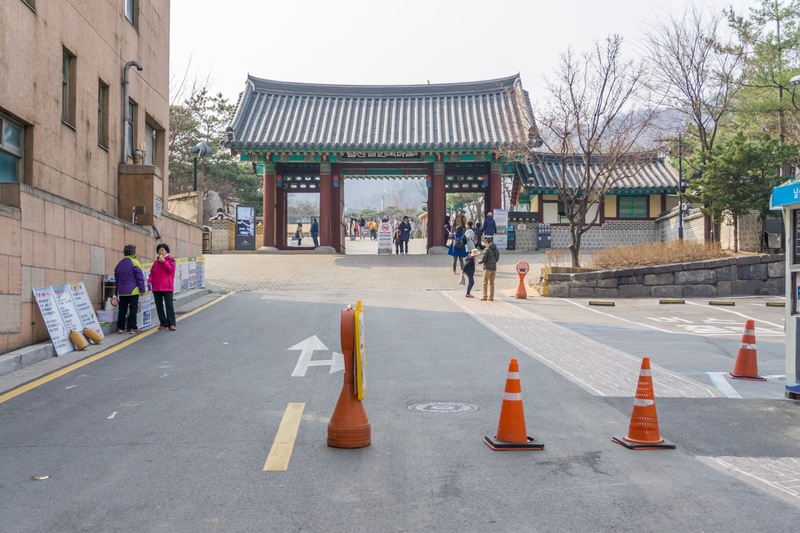 It actually worked fine, and you just put it on the card reader at the gates when you enter or exit a subway, and it even shows, how much money is left on it. 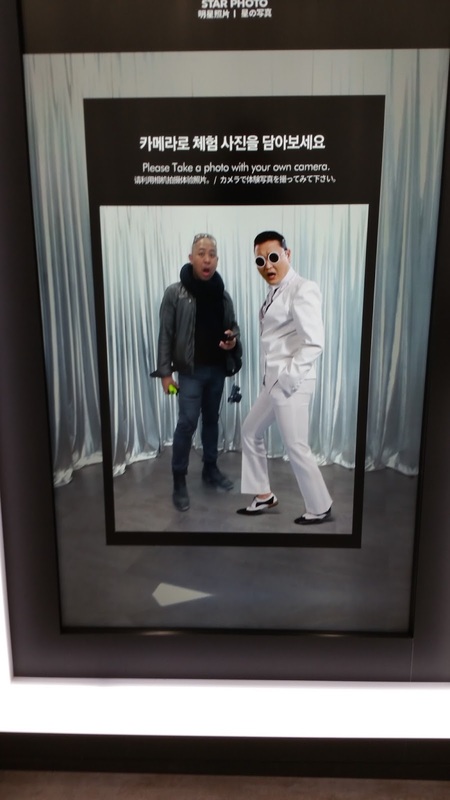 There are plenty of machines at the subway stations, where you can recharge cash on the card if you need to. 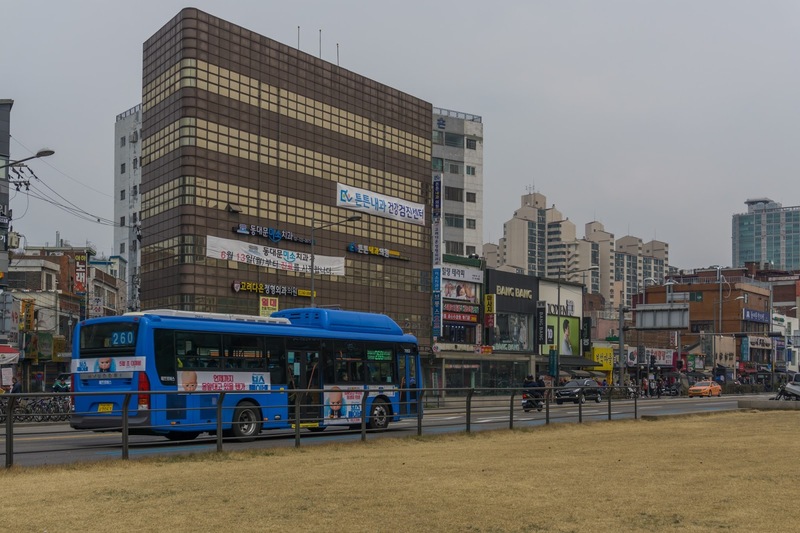 It was just three stations from Seoul Station to Chungmuro Station with the subway. 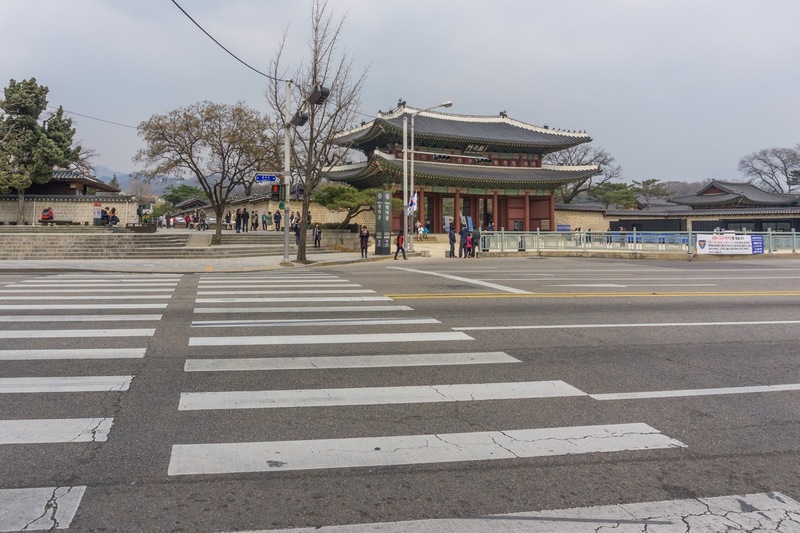 We took Exit 4 and then it was only a few steps to our first sightseeing destination of the day, the Namsangol Hanok Village. 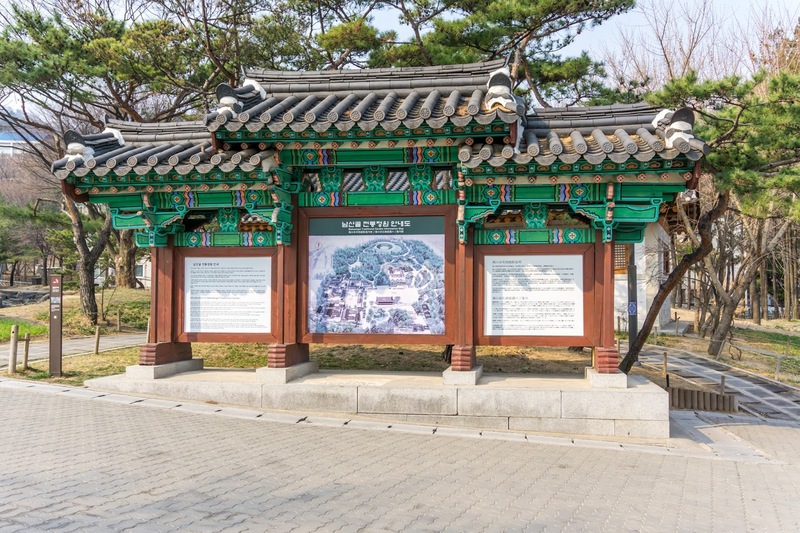 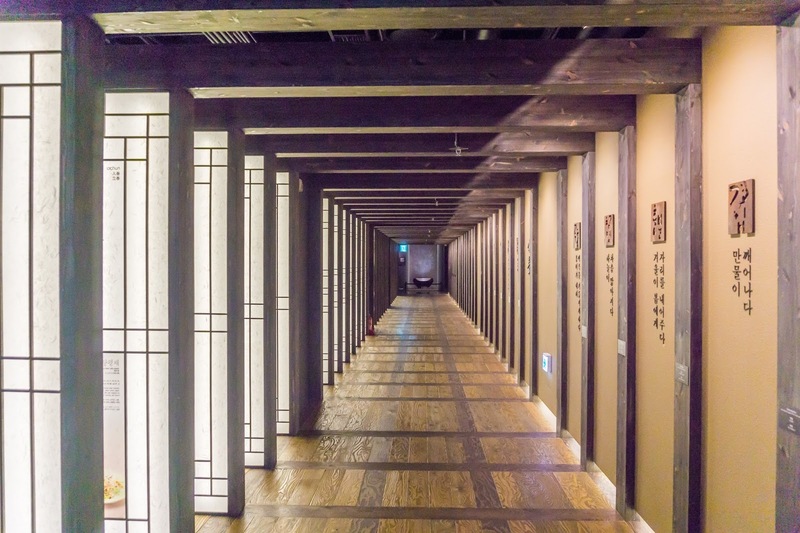 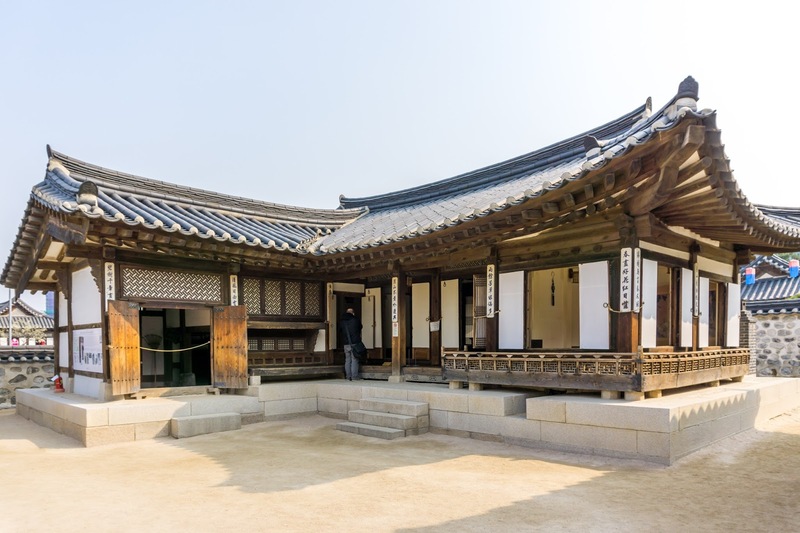 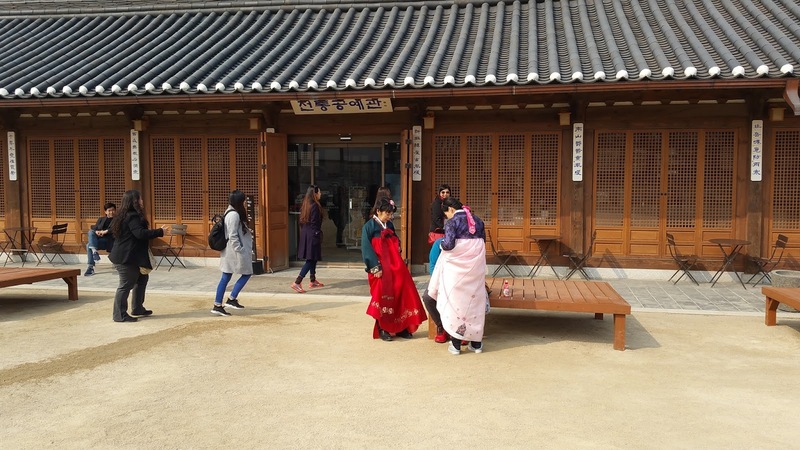 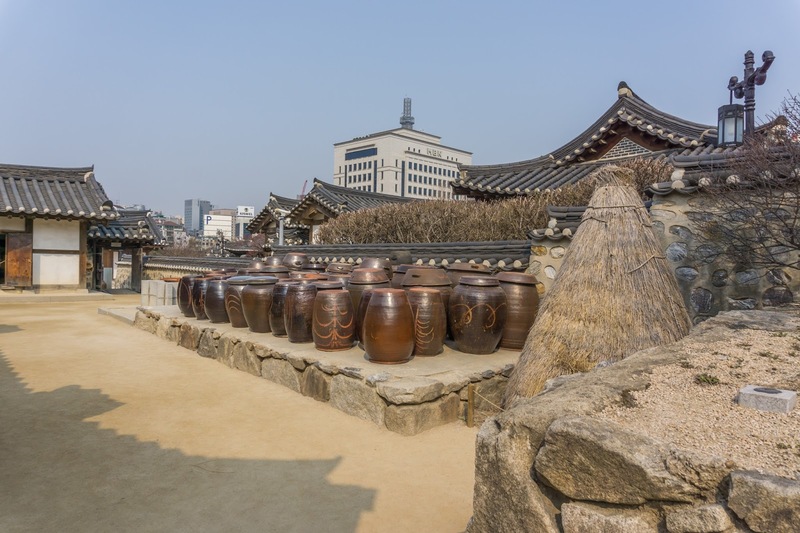 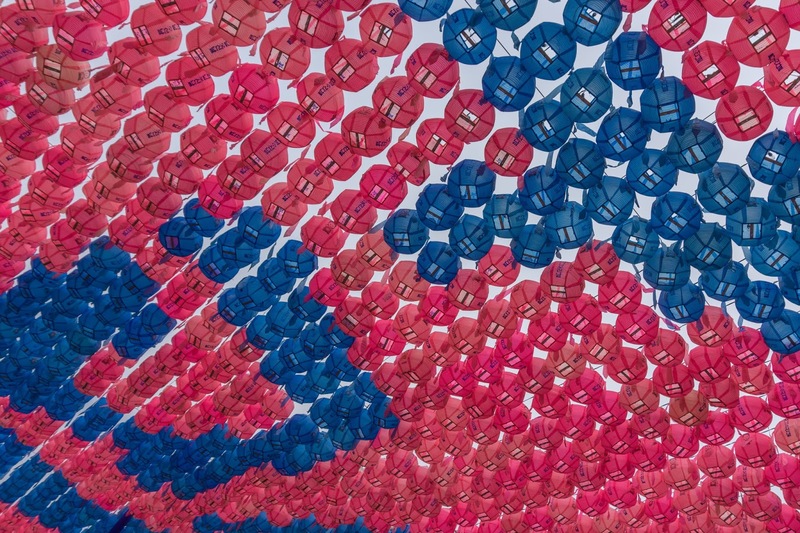 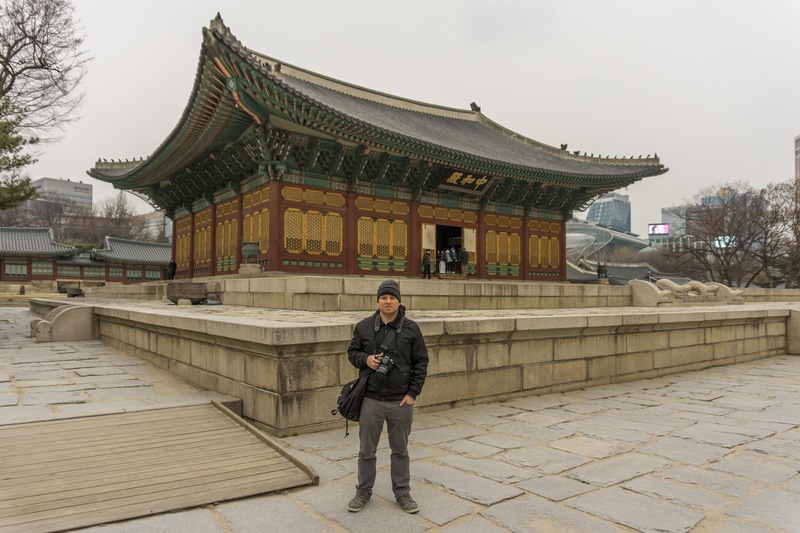 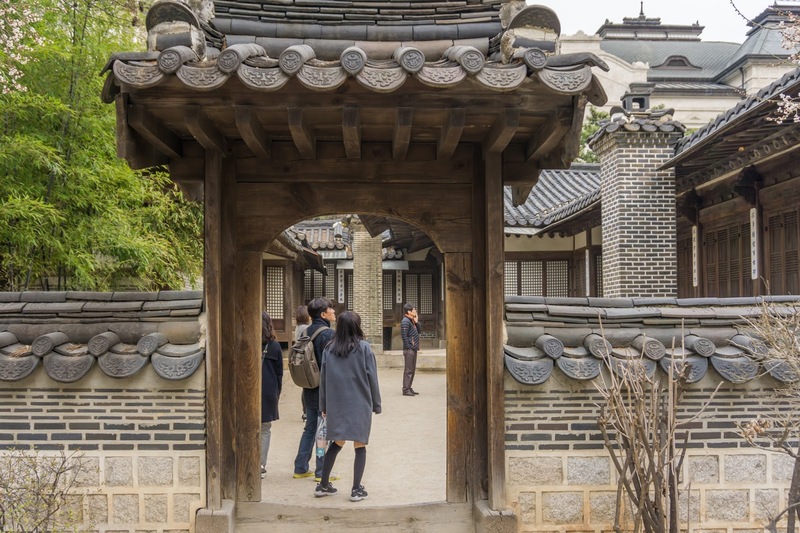 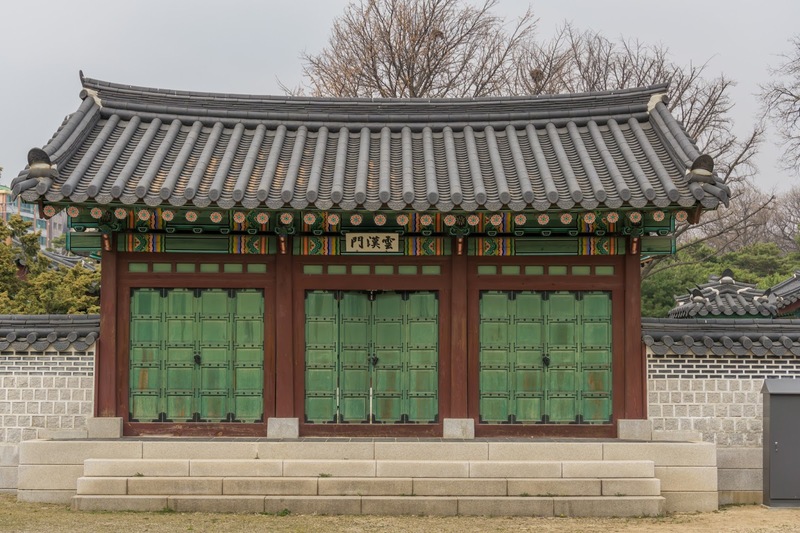 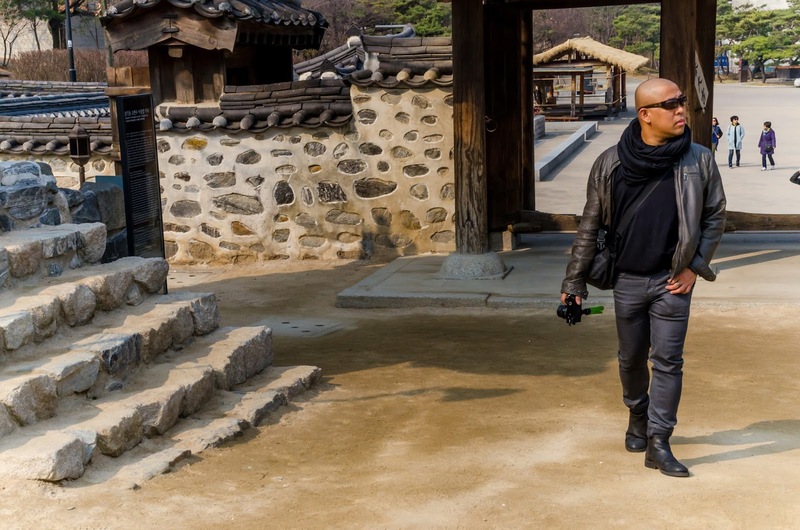 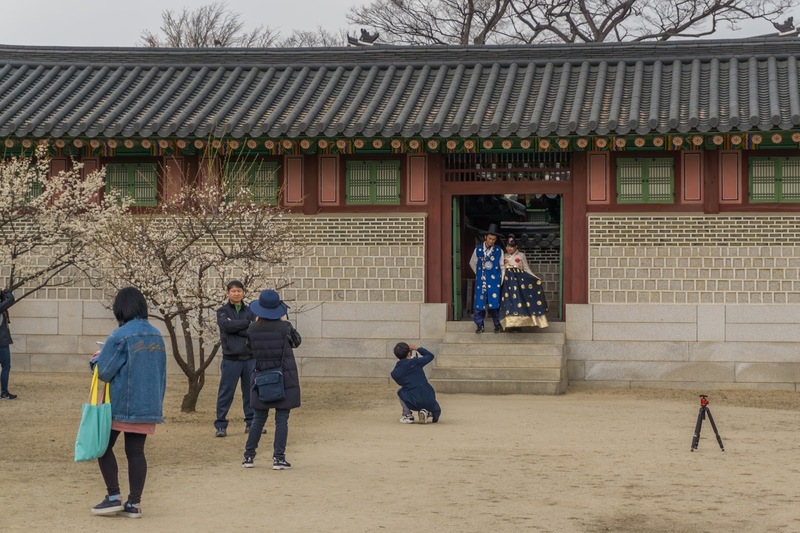 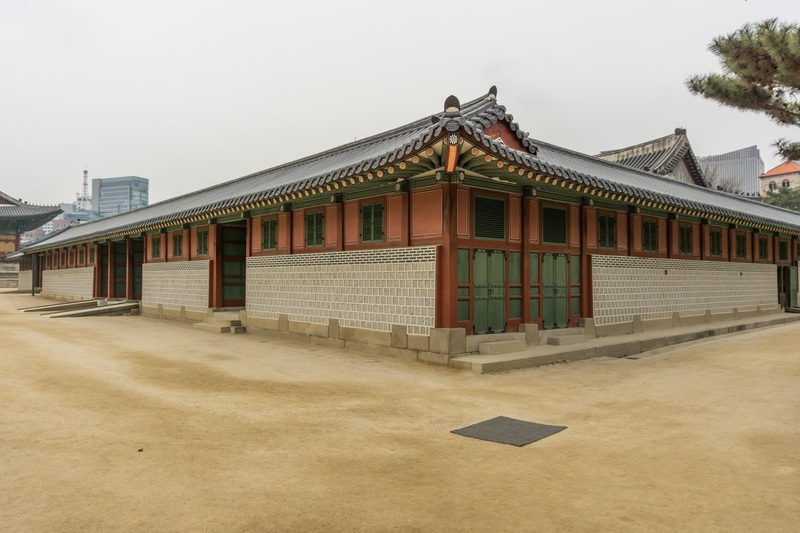 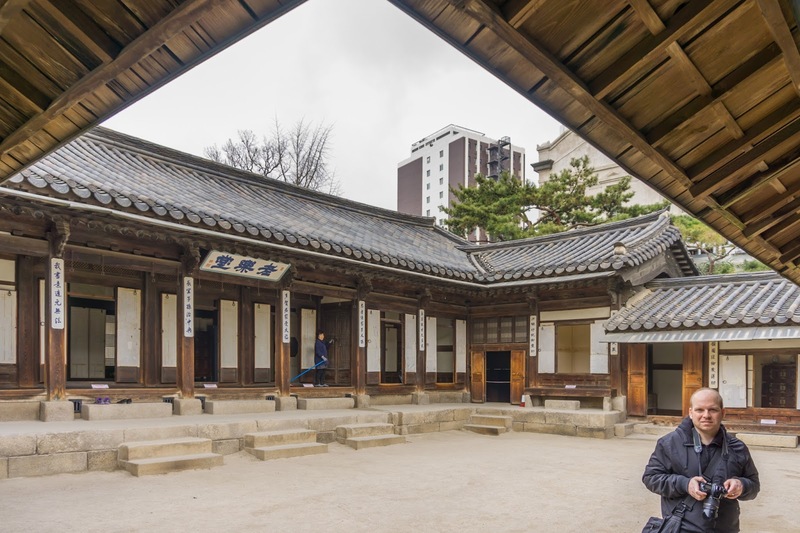 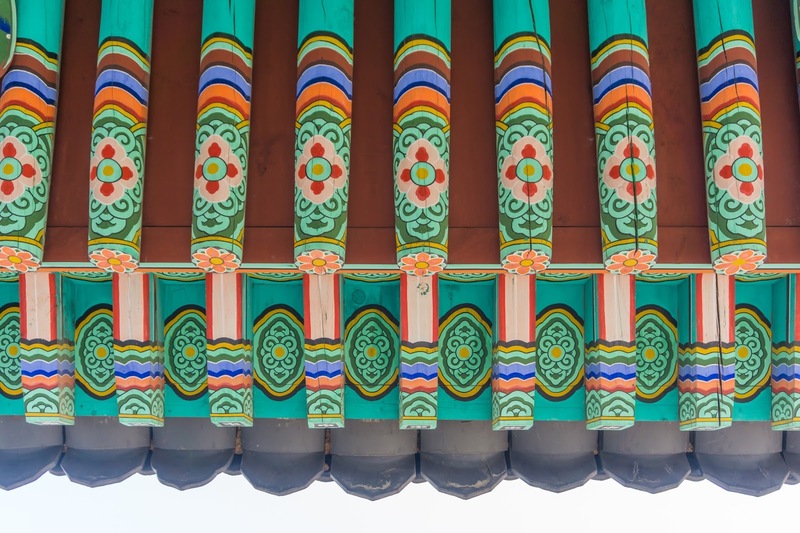 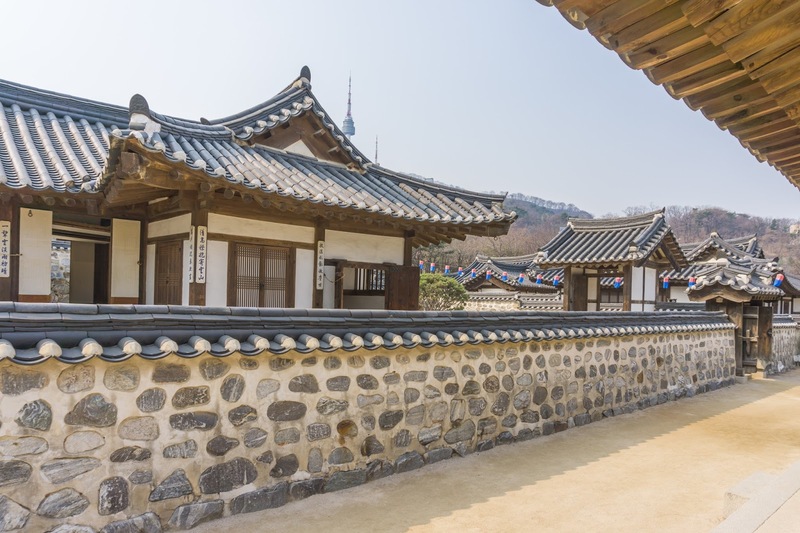 The Namsangol Hanok Village does not charge an entrance fee. 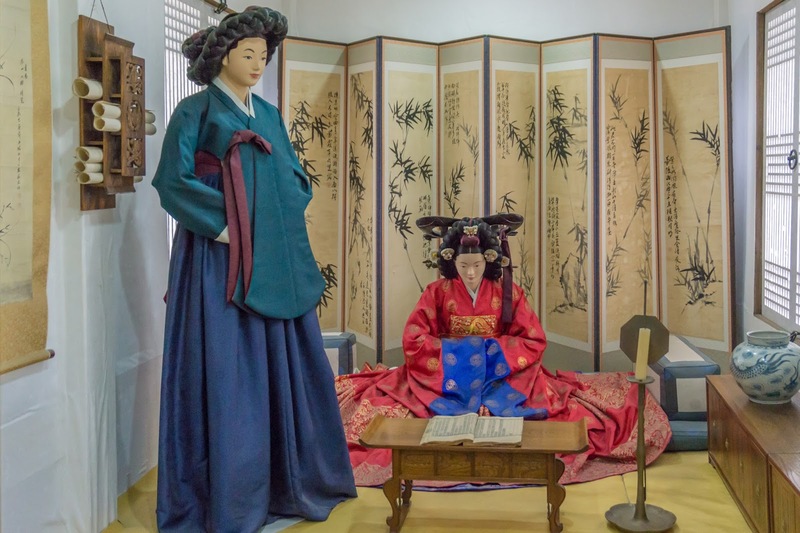 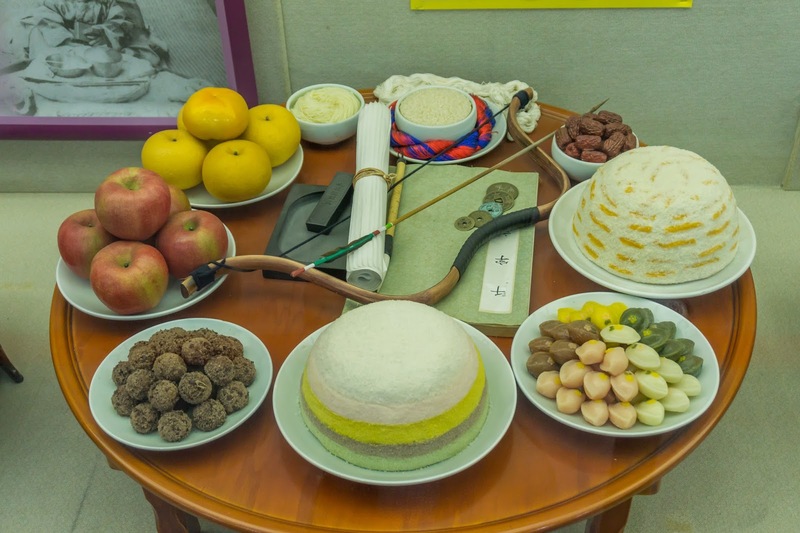 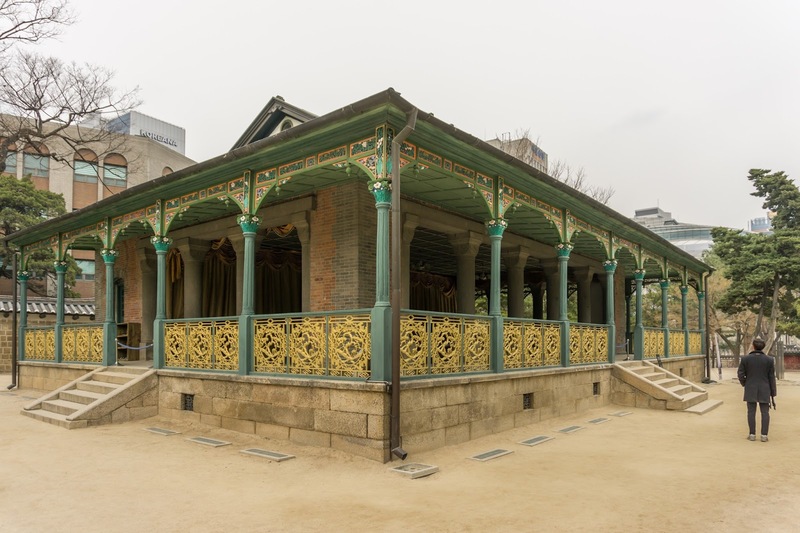 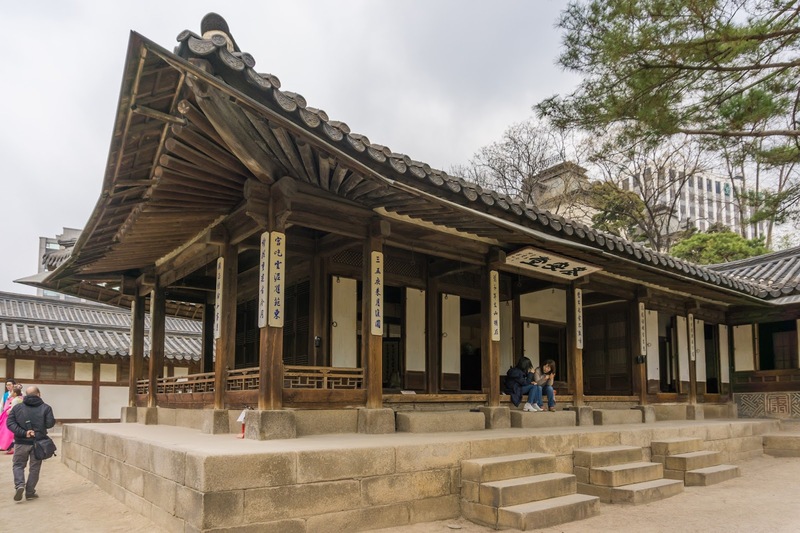 It consists of restored traditional houses, a pavilion, a garden and some exhibits to get an idea of traditional life in the Joseon Dynasty. 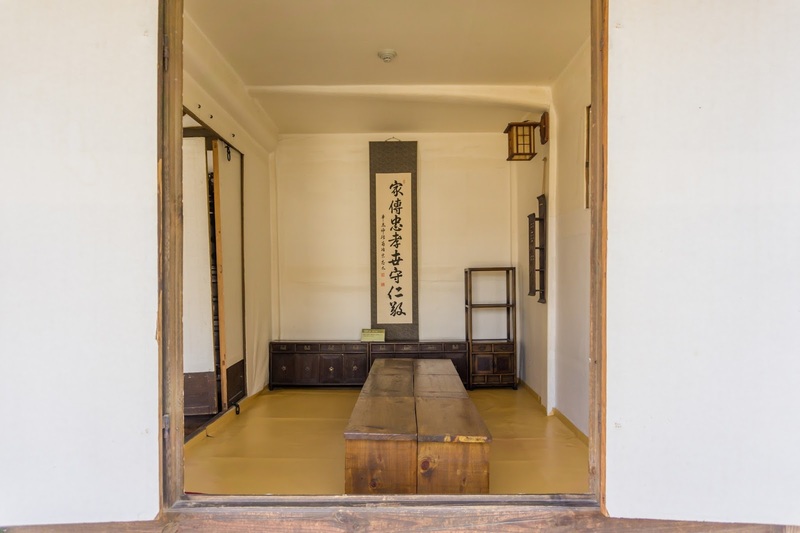 You can also book activities. 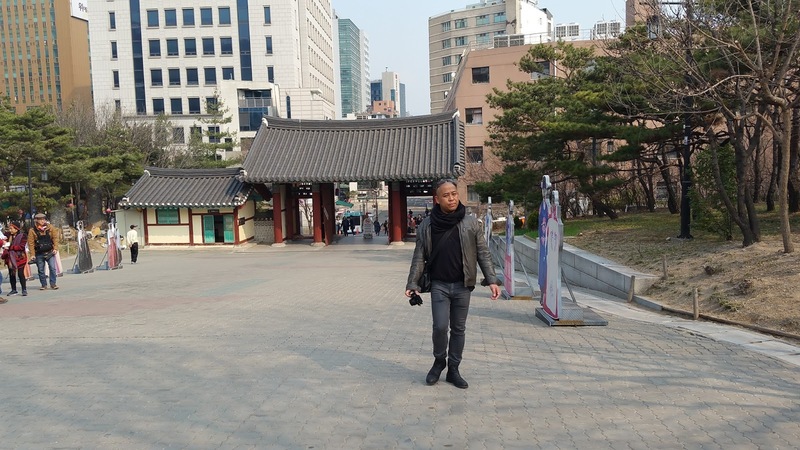 We just strolled around the tranquil area and enjoyed the scenery. 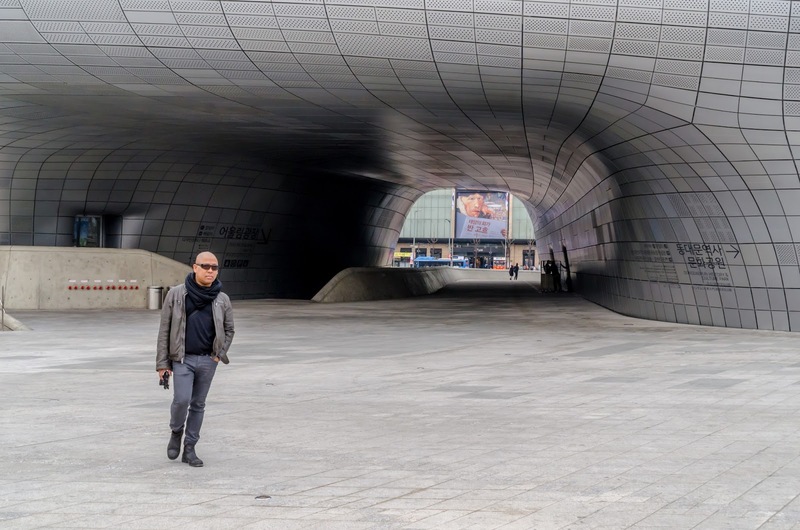 Back at the Chungmuro Station, we took a subway to the Dongdaemun History & Culture Park Station, just one stop away. 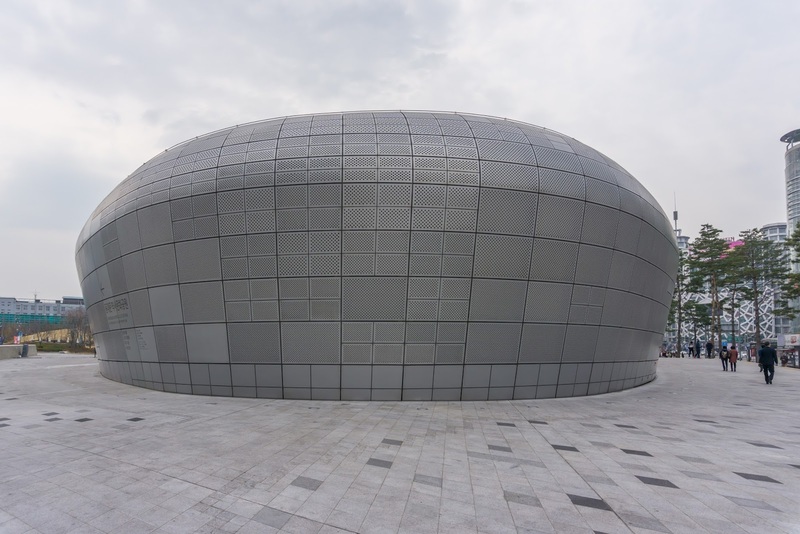 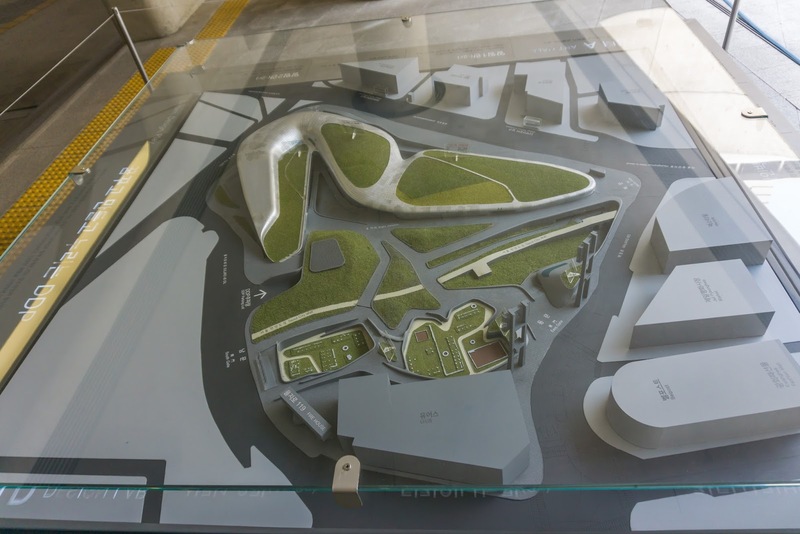 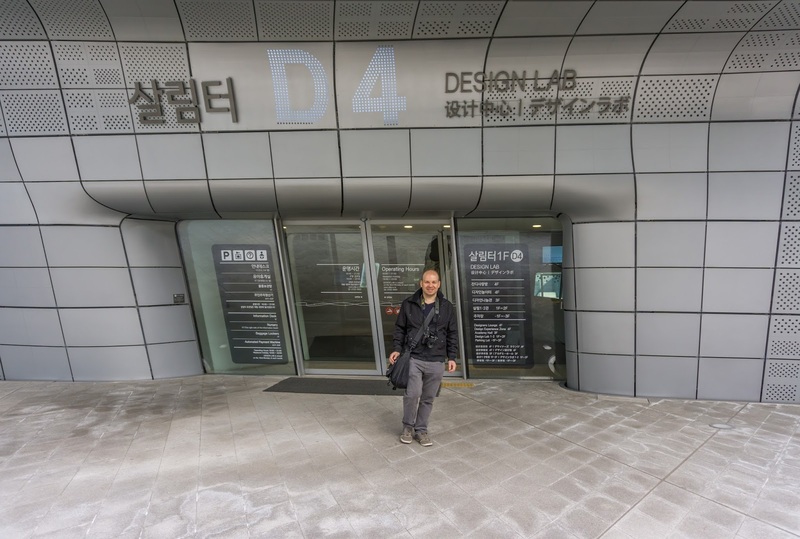 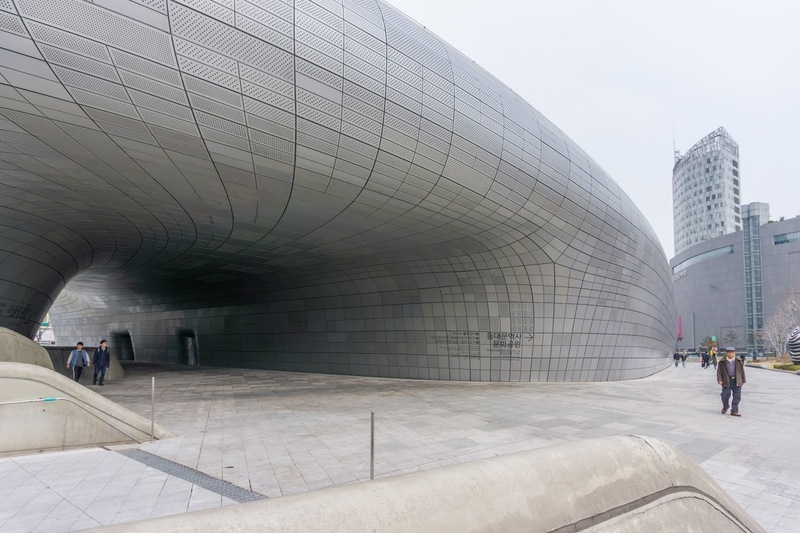 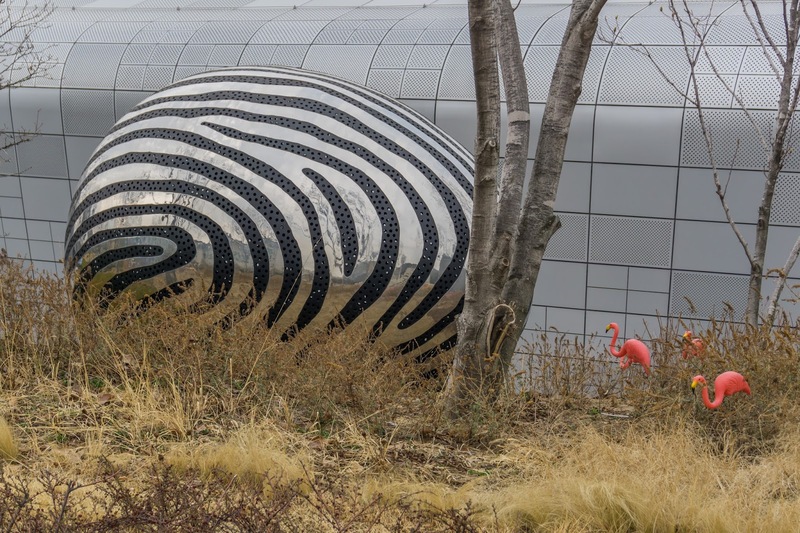 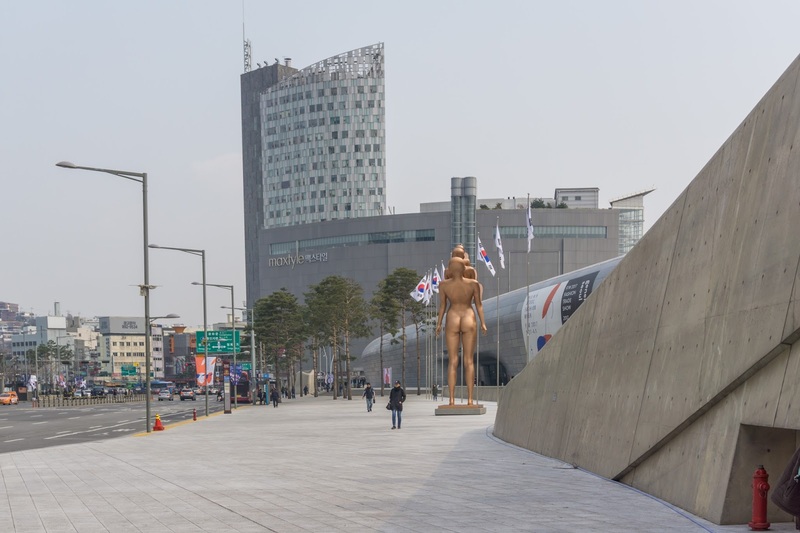 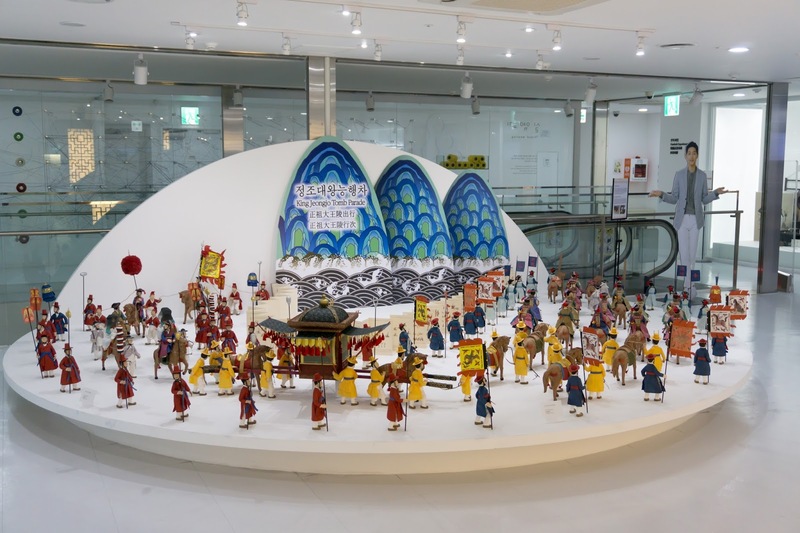 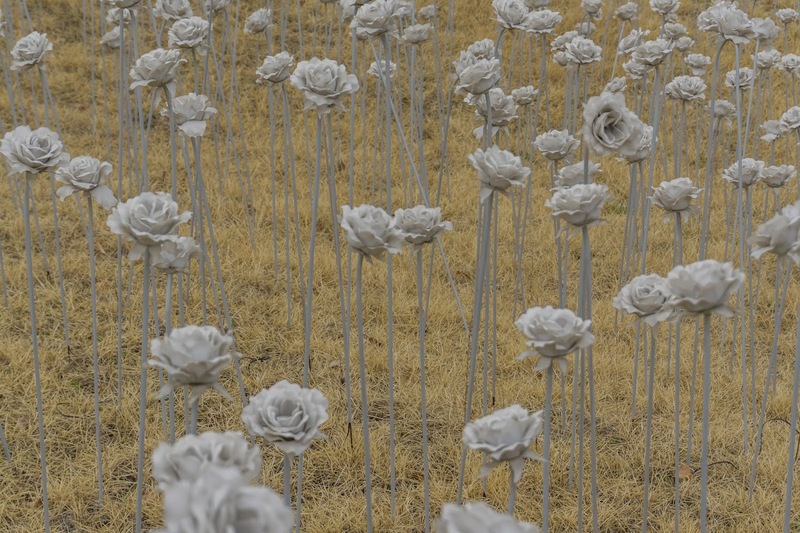 We took Exit 1 to the Dongdaemun History & Culture Park and the Dongdaemun Design Plaza. 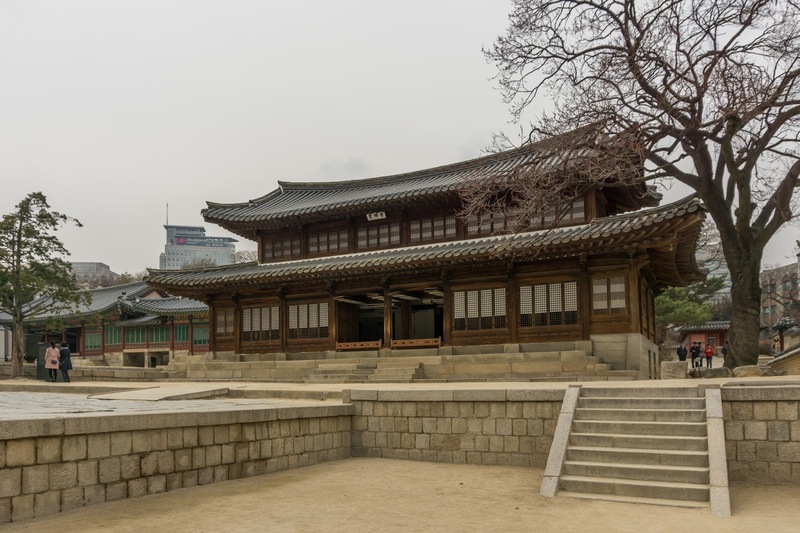 It is a fascinating area with great architecture. 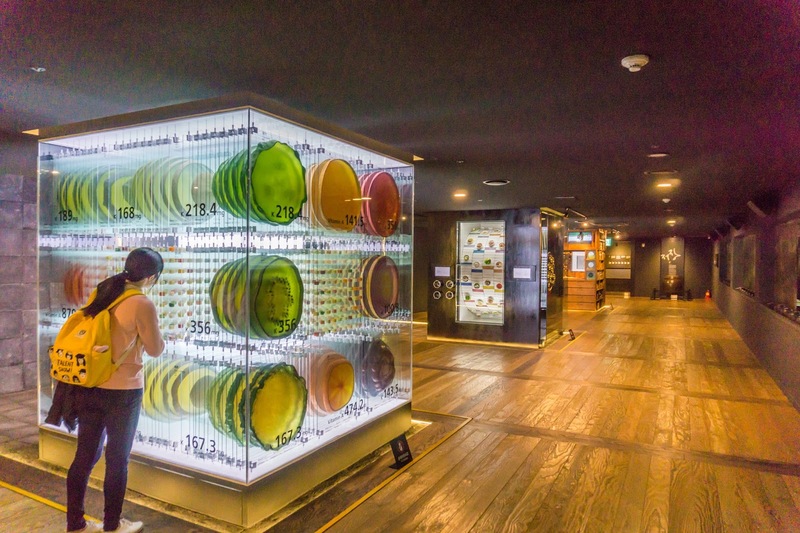 We also looked inside to get a view of an exhibition of new designs for different products, from plates to electronic stuff. 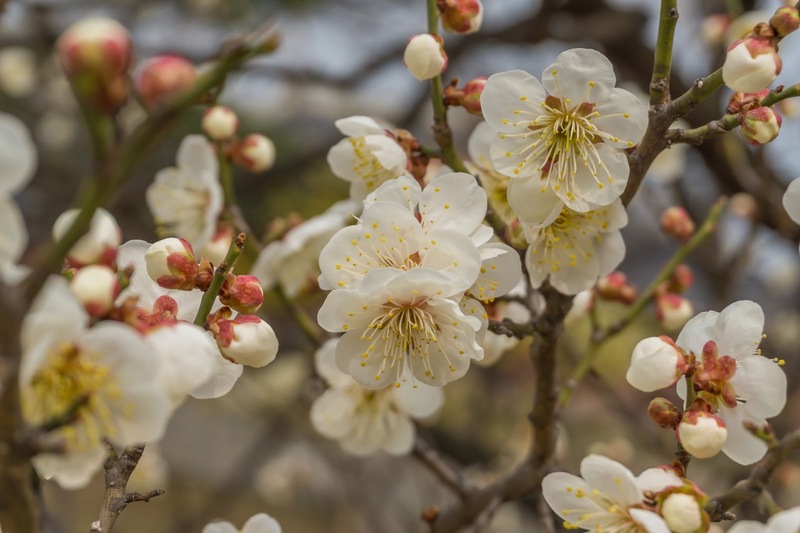 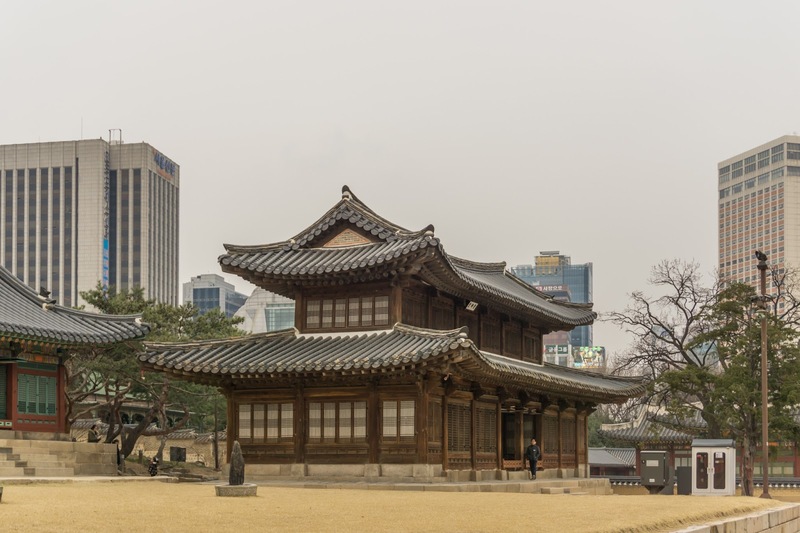 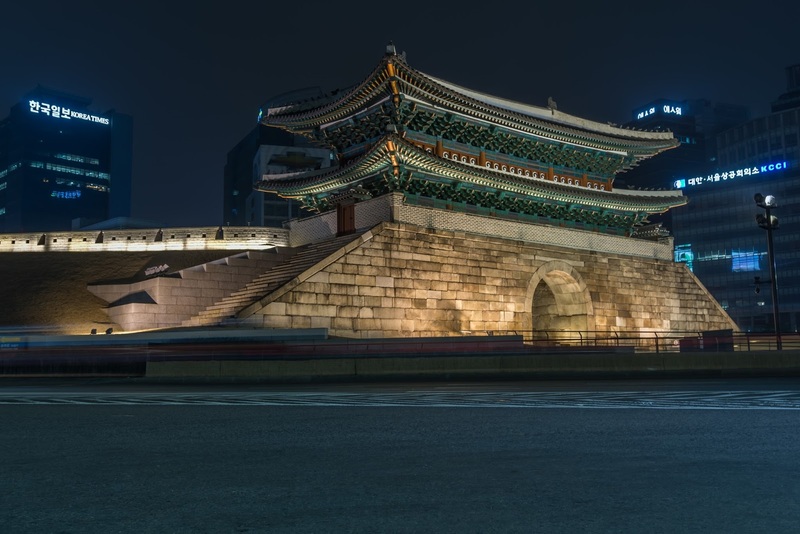 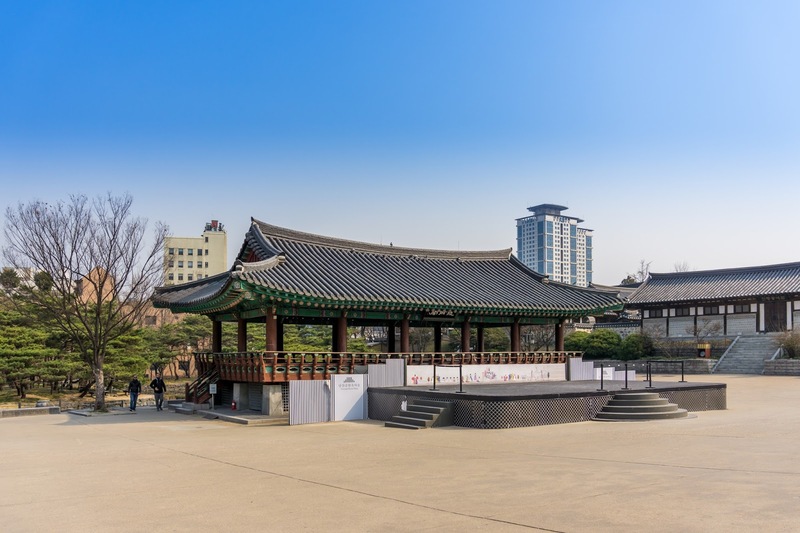 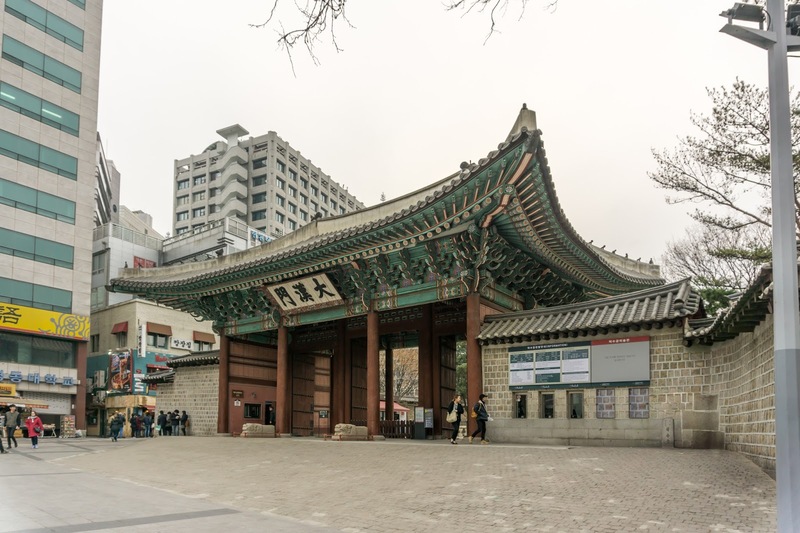 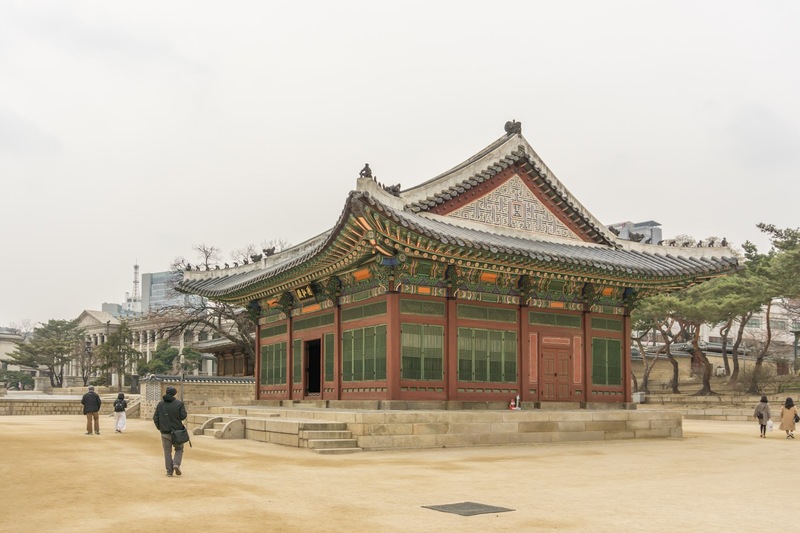 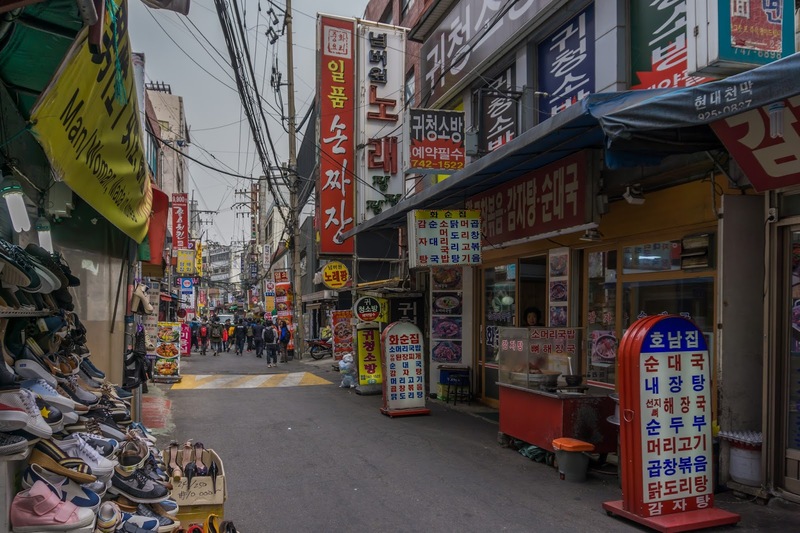 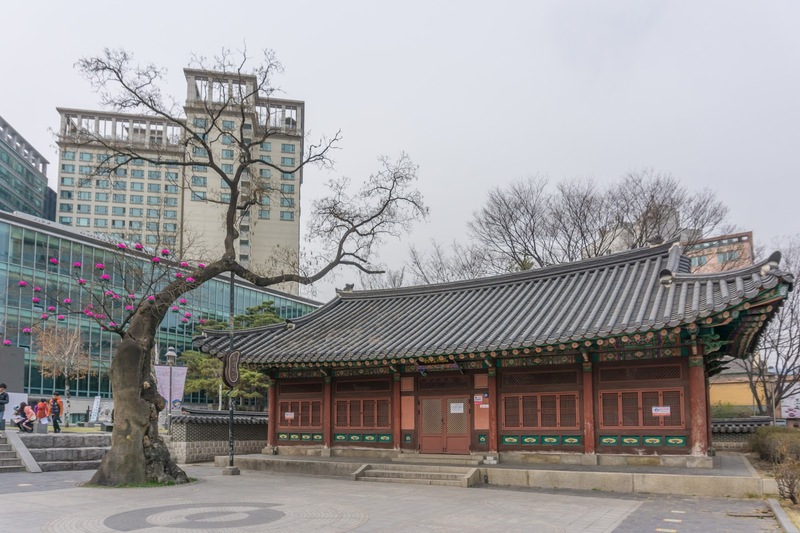 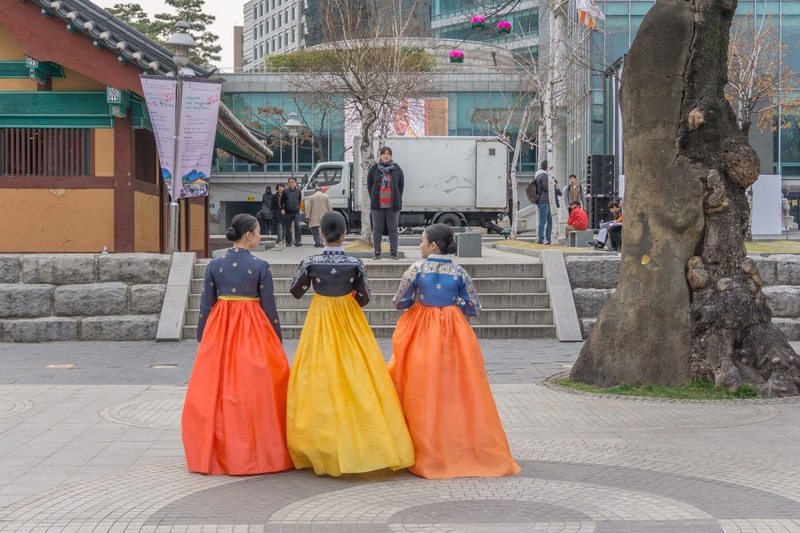 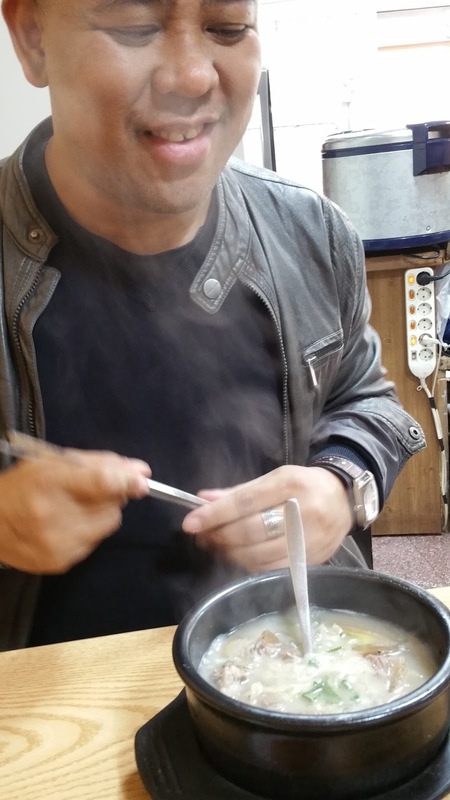 From the park, we walked towards the historic Dongdaemun Gate but were seduced to stop at a little local eatery by the cheerful old woman in front of it, who we couldn´t understand, but who was kind of charming, and I really was hungry. 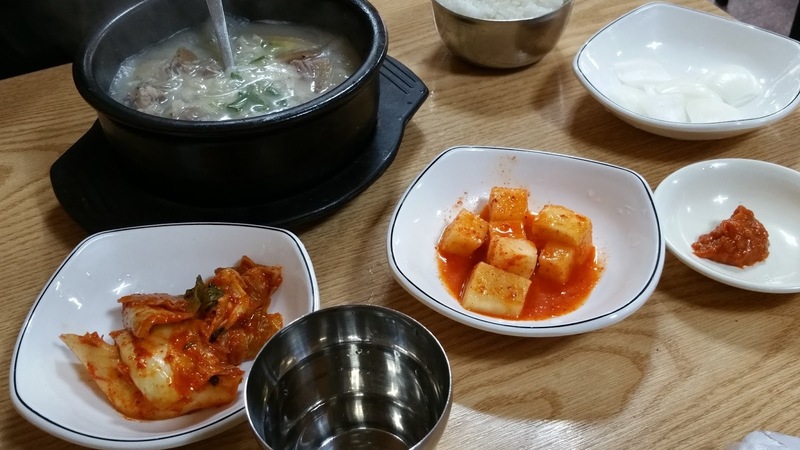 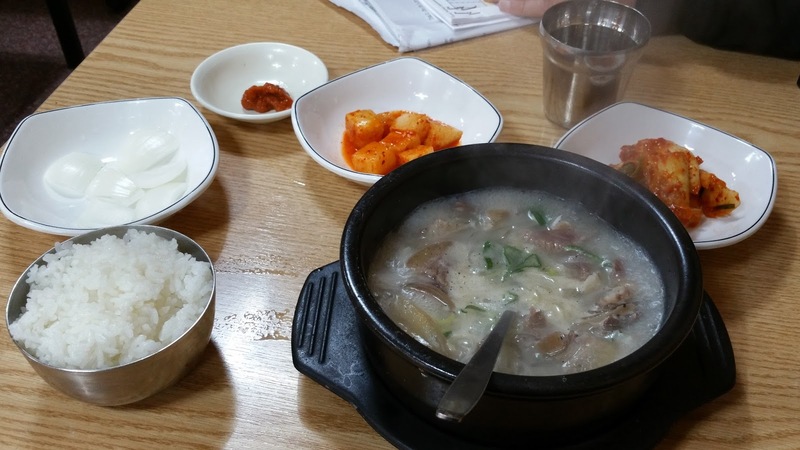 So, I got a traditional lunch with a bowl of soup and some dishes on the side, including Kimchi, South Korea's favorite dish. 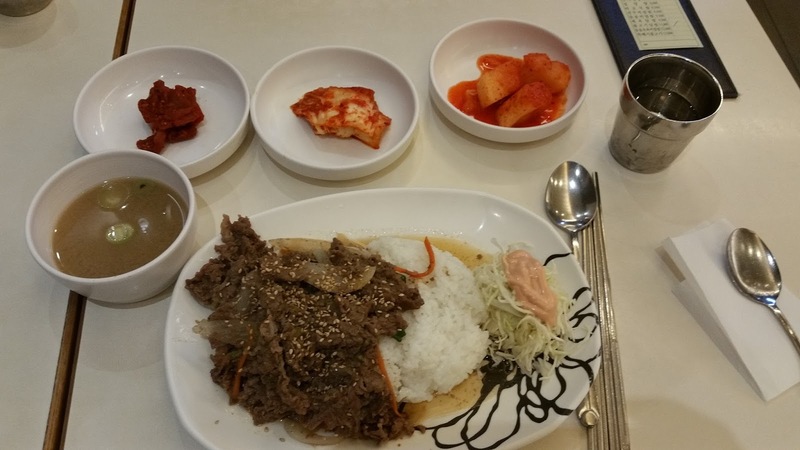 It was good, although I won't become a huge Kimchi fan. 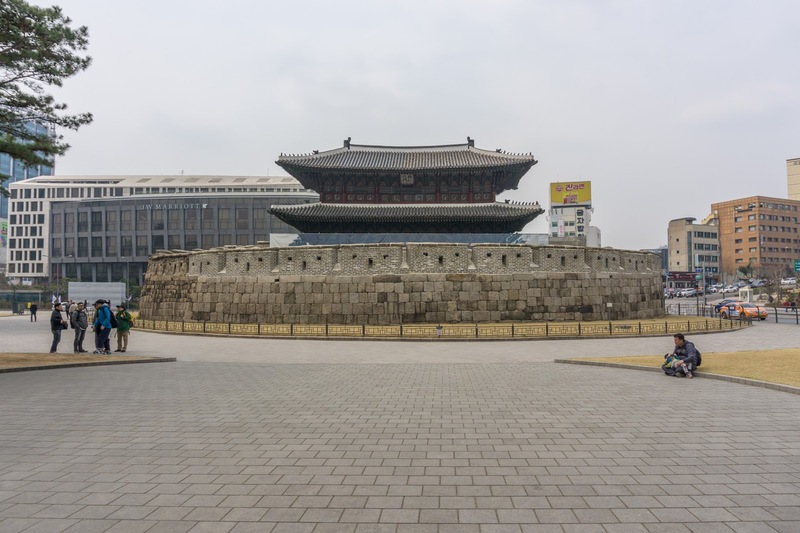 After lunch, we continued to the nearby and impressive Dongdaemun Gate. 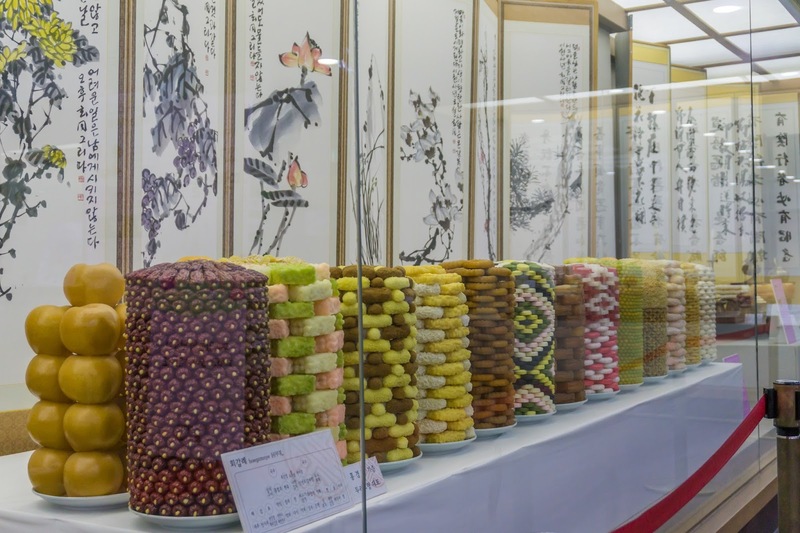 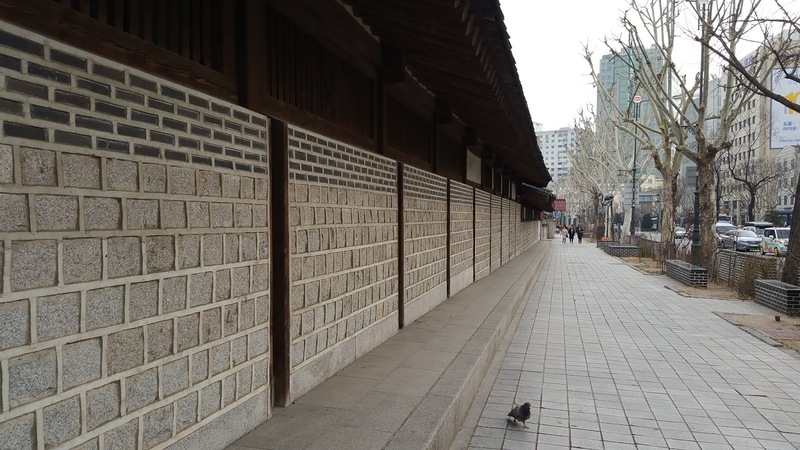 From the Rice Cake Museum, we continued to the Changdeokgung Palace, which was straight ahead. 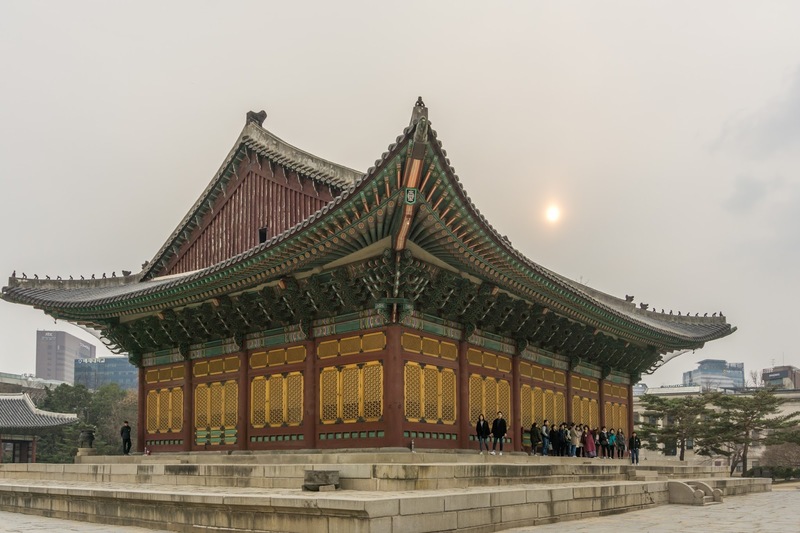 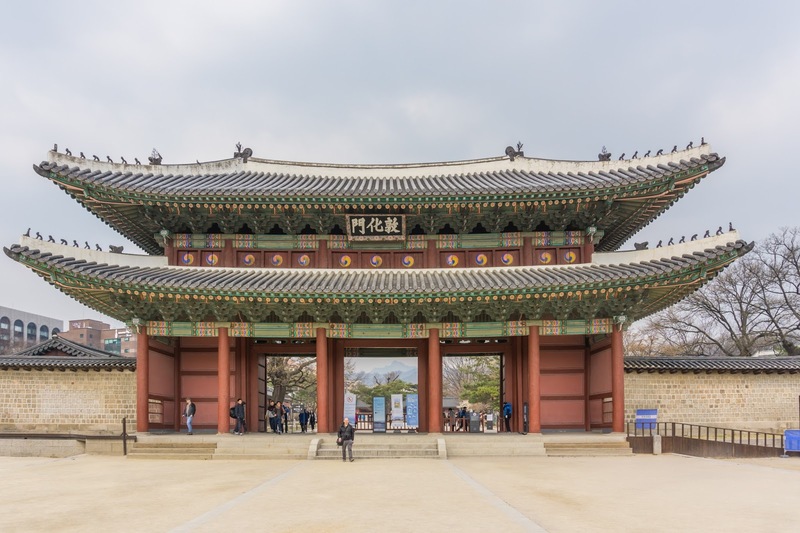 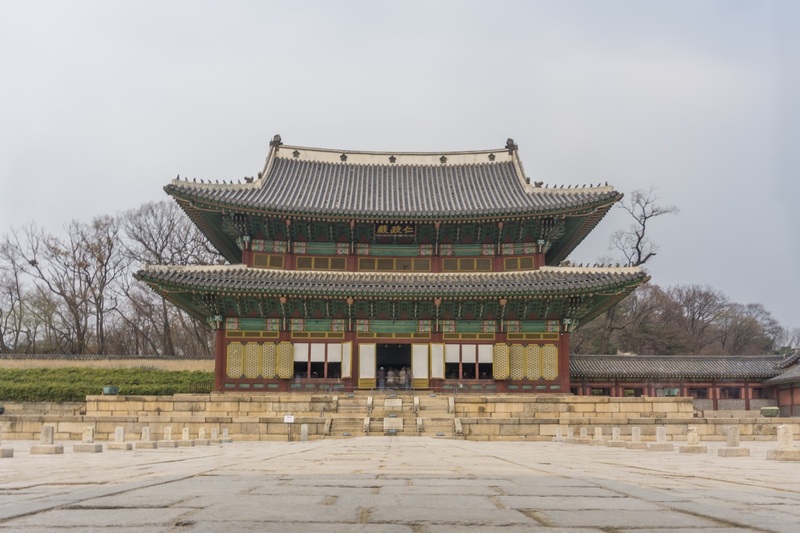 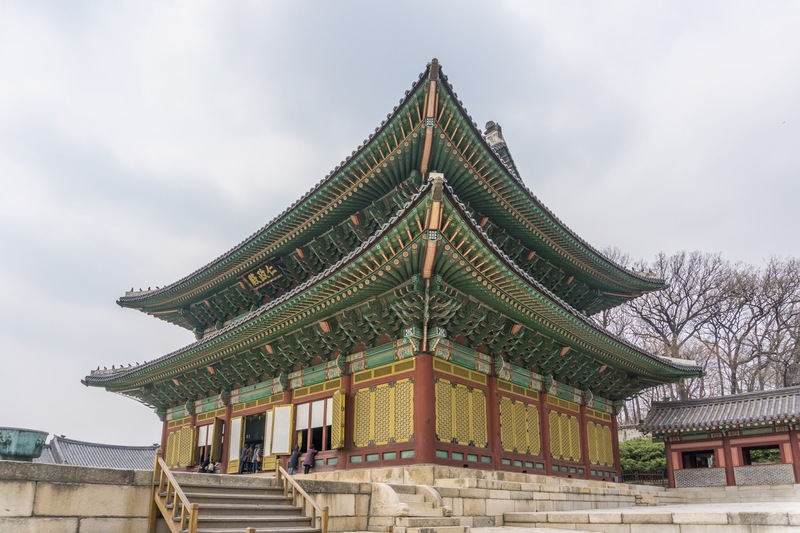 The Changdeokgung Palace Complex is a UNESCO World Heritage Site, built in the 15th century, and a place where once kings lived. 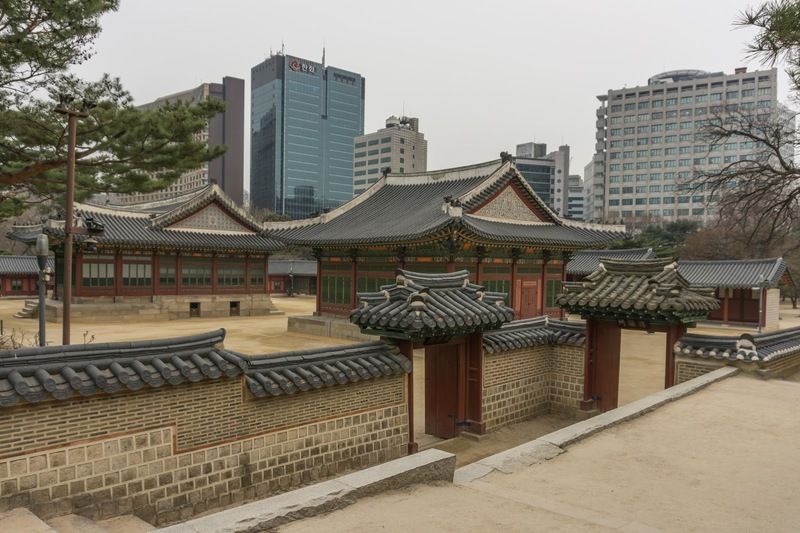 It is also a huge areal to walk through with many interesting buildings, gates, and gardens. 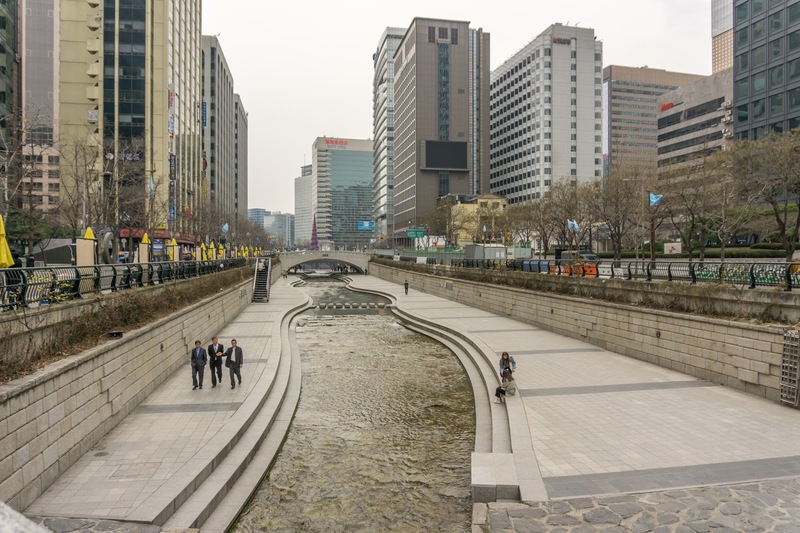 It's like a park and therefore also an escape from modern Seoul with the traffic and modern buildings. 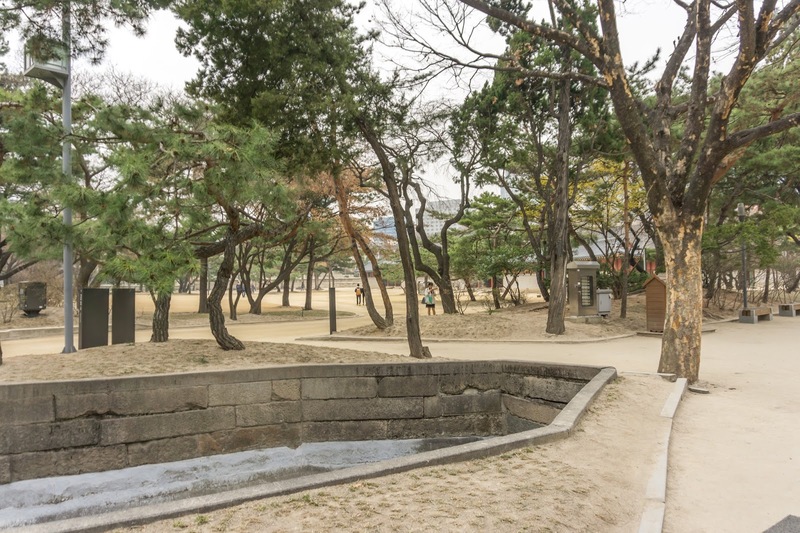 We just strolled around in the park and adored it. 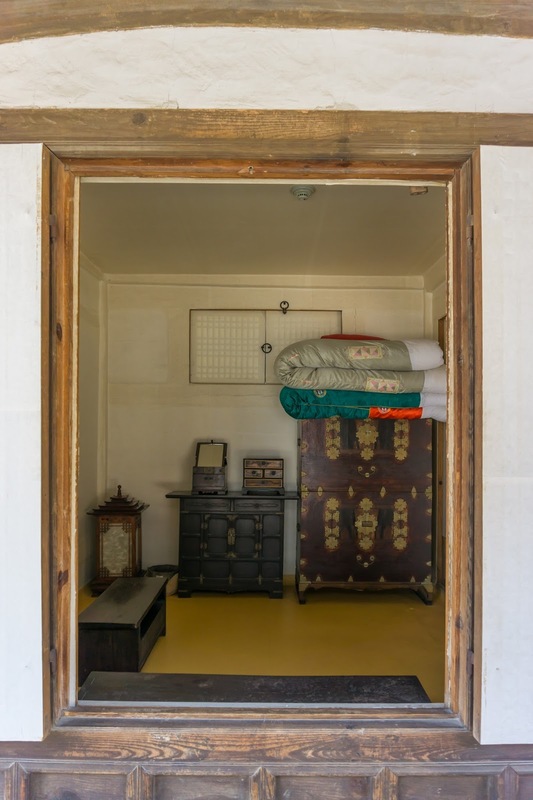 Inside you can also visit the Secret Garden, but you can only visit it on a guided tour, that should be booked ahead of the visit, which we didn't do. 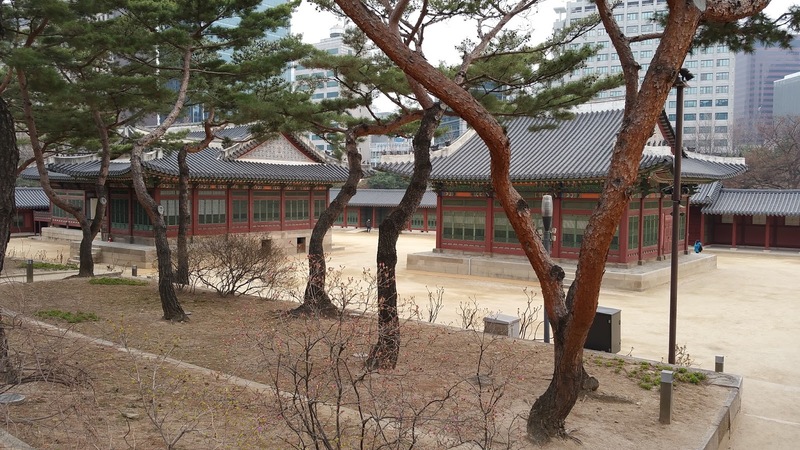 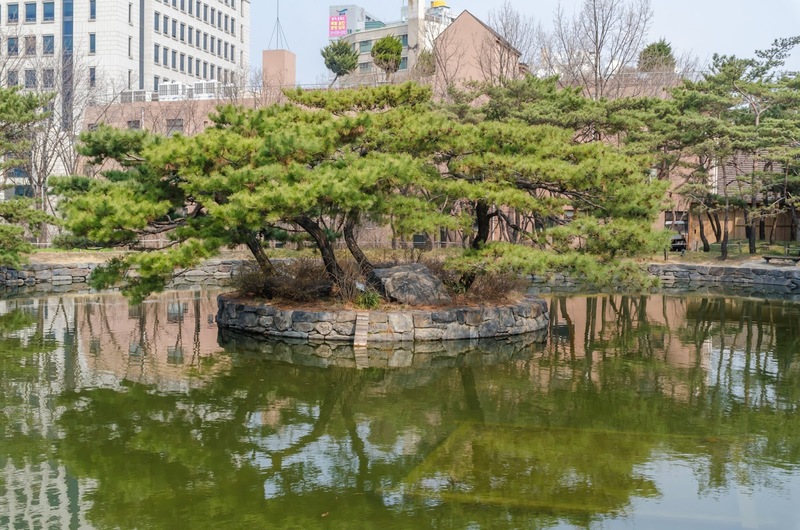 When we were finished with the park, we walked to the Unhyeongung Royal Residence next. 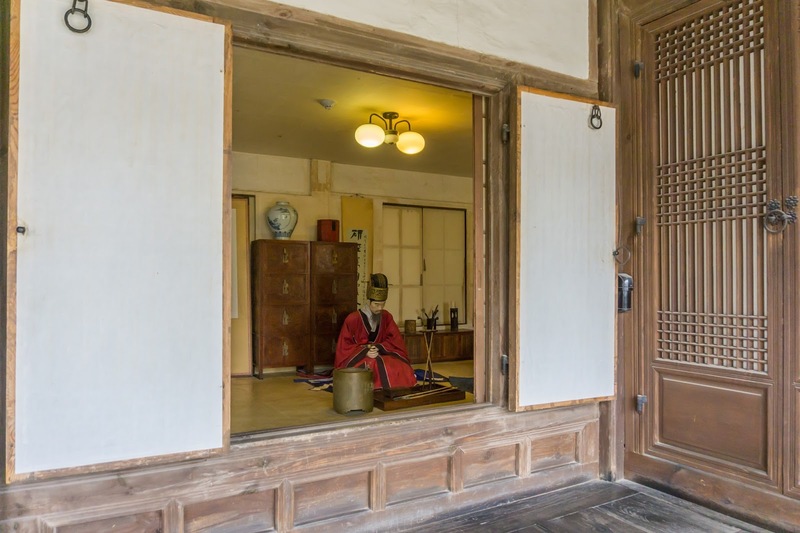 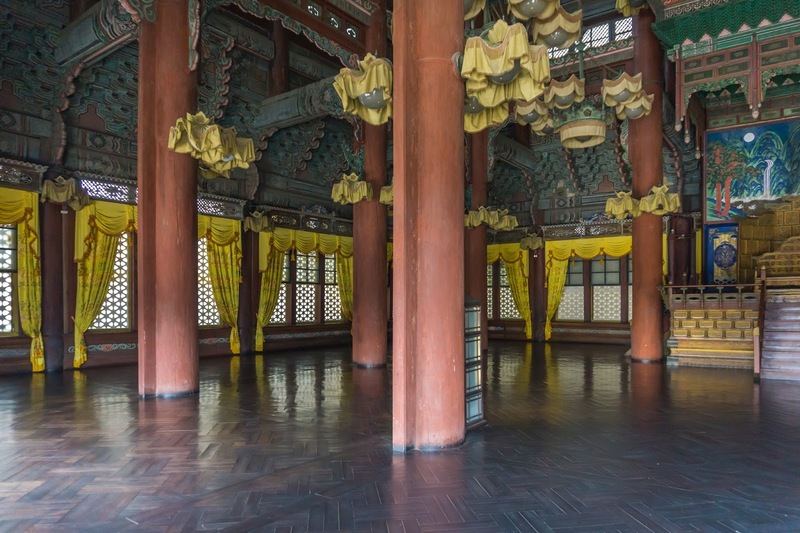 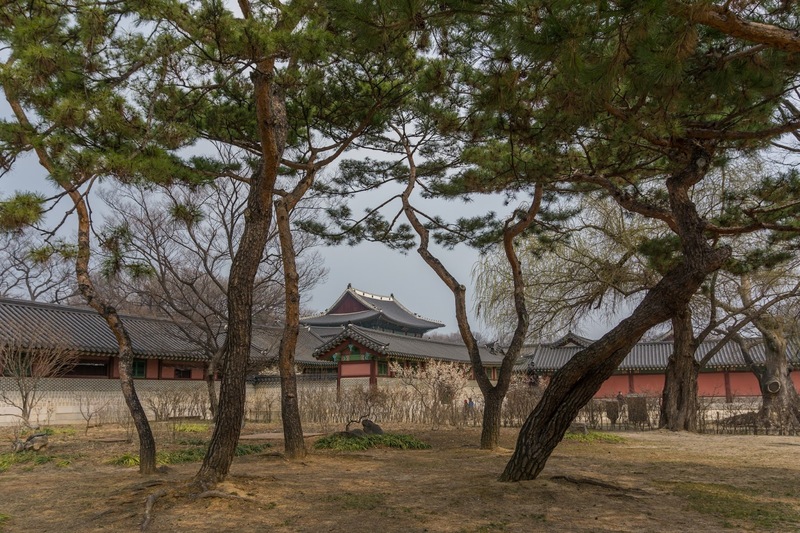 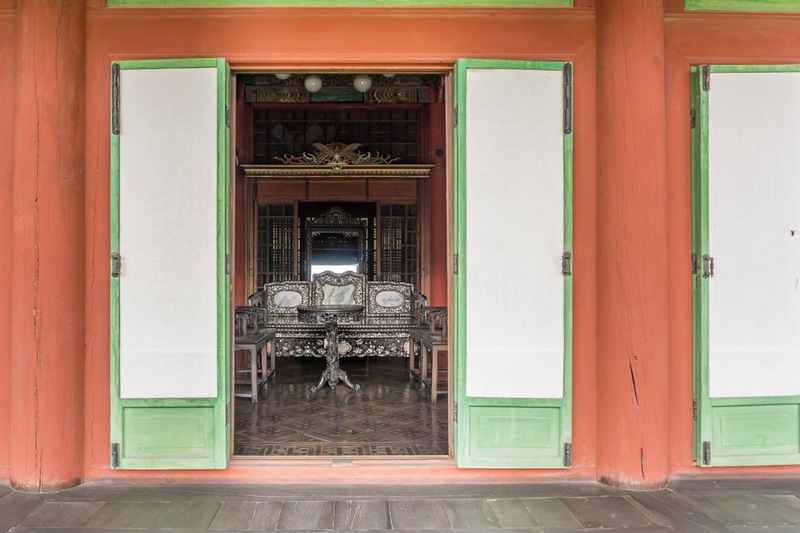 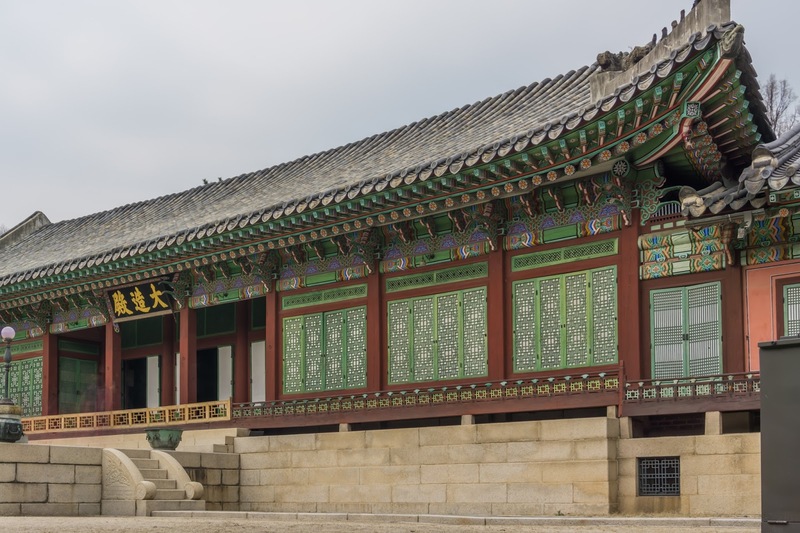 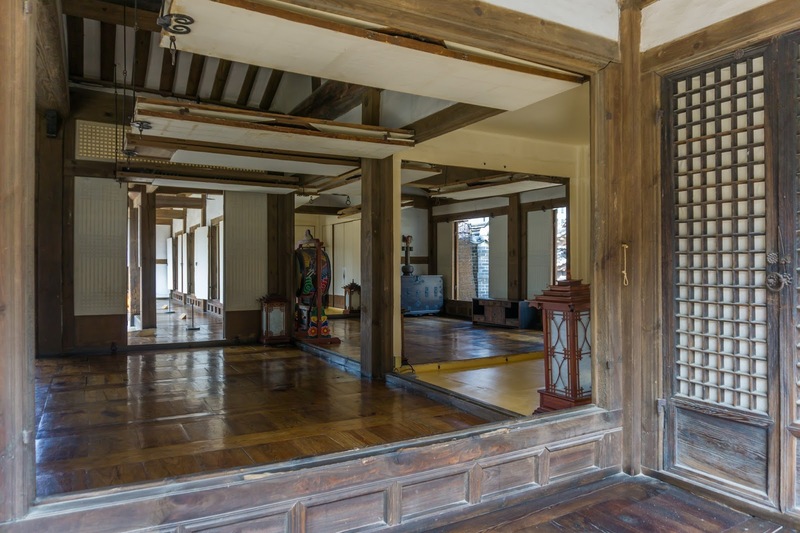 It is a palace-like house, where once Gojong lived, who later became Emperor of Korea. 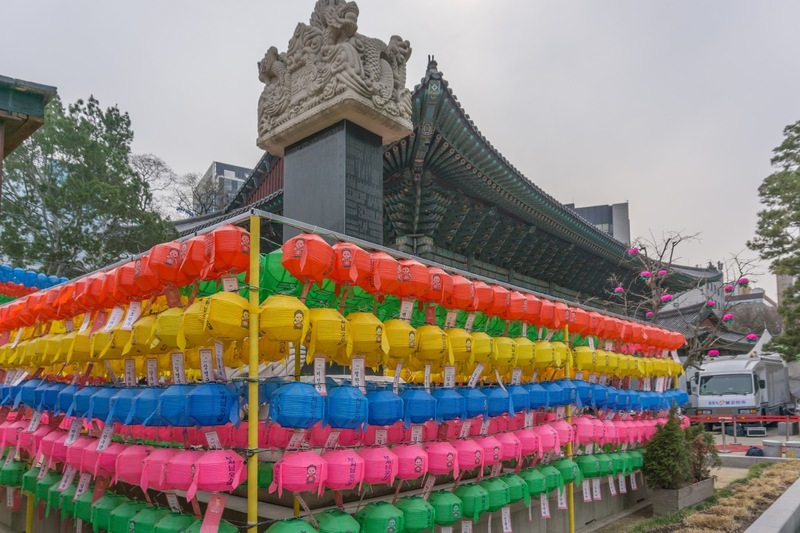 Our walking tour led us next to the Jogyesa Temple, where they seemed to prepare for a celebration. 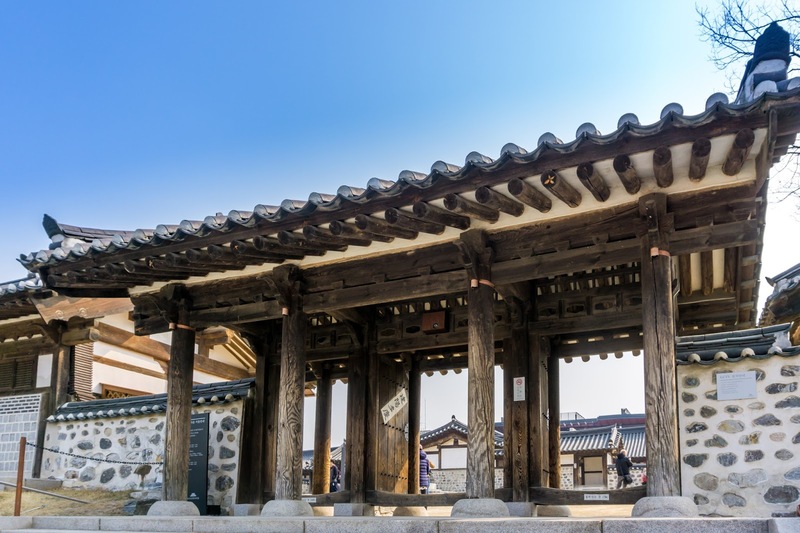 When we walked further southwards, we came to the Bosingak Belfry, which in the Joseon Dynasty announced the time for everyone. 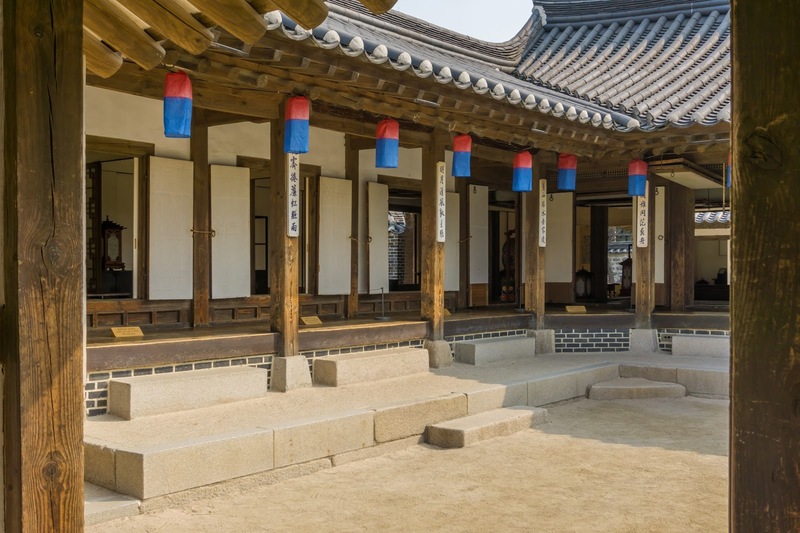 There's also a bell-ringing ceremony that we unfortunately missed. 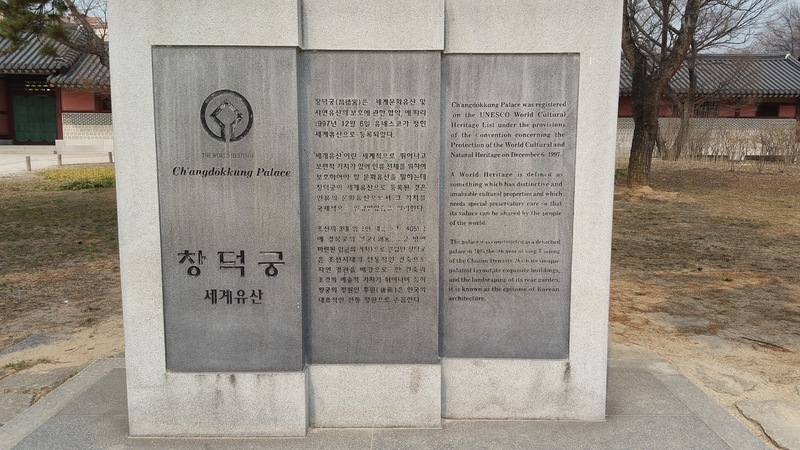 After seeing quite some remains of South Korea's history, we next went to the nearby Tourist Information. 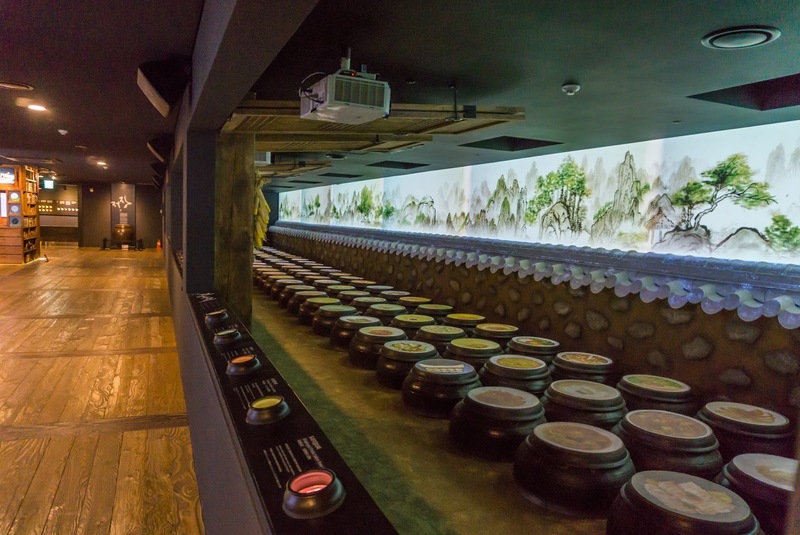 It might not sound like an attraction itself, but it actually is. 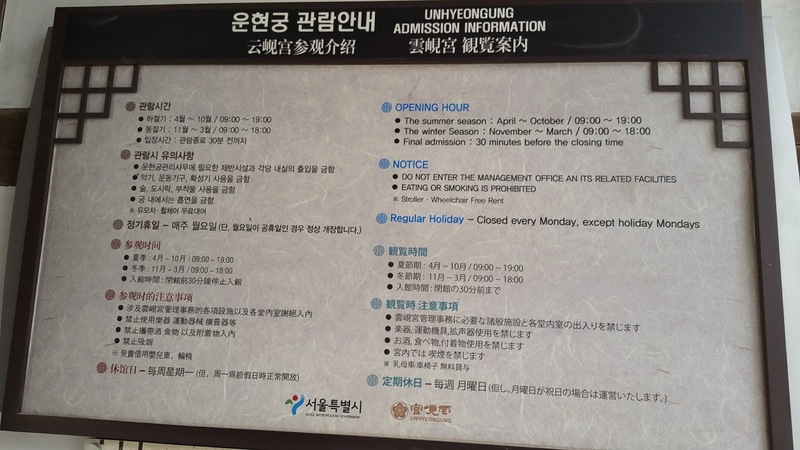 First, we found out, that the Seoul Day Pass, we searched in the morning, doesn't exist anymore. 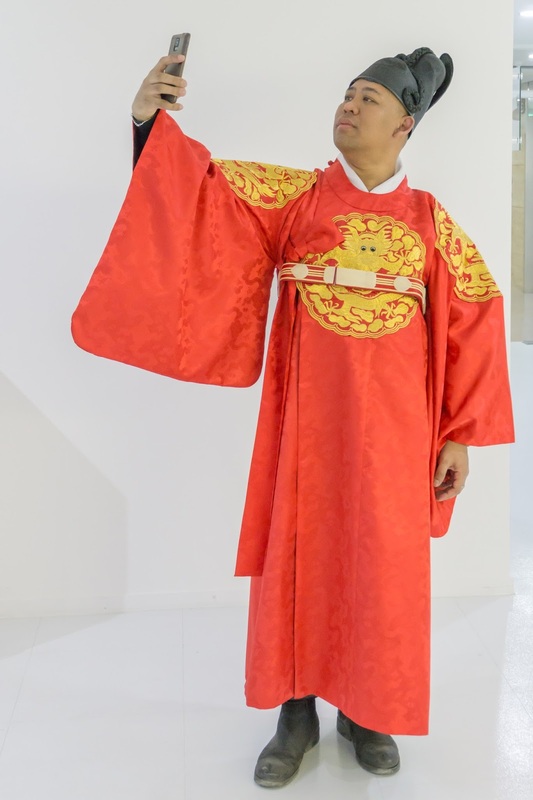 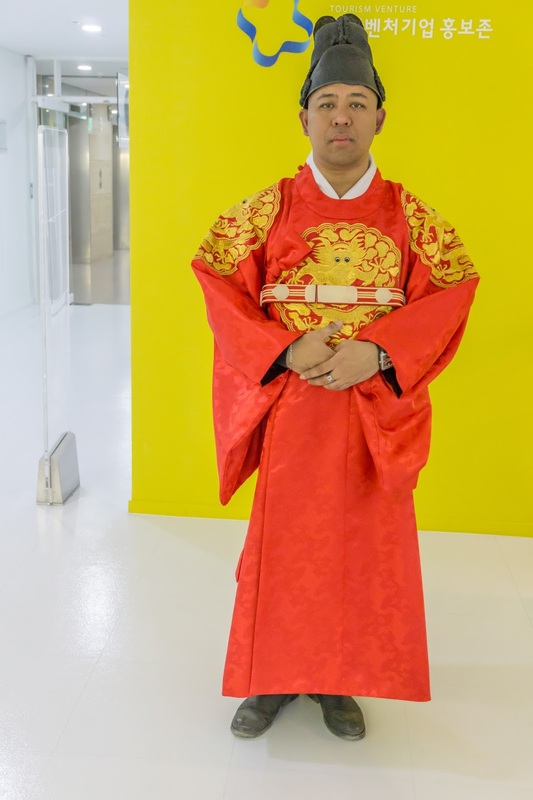 But then I got to try on traditional clothes for photo-op. 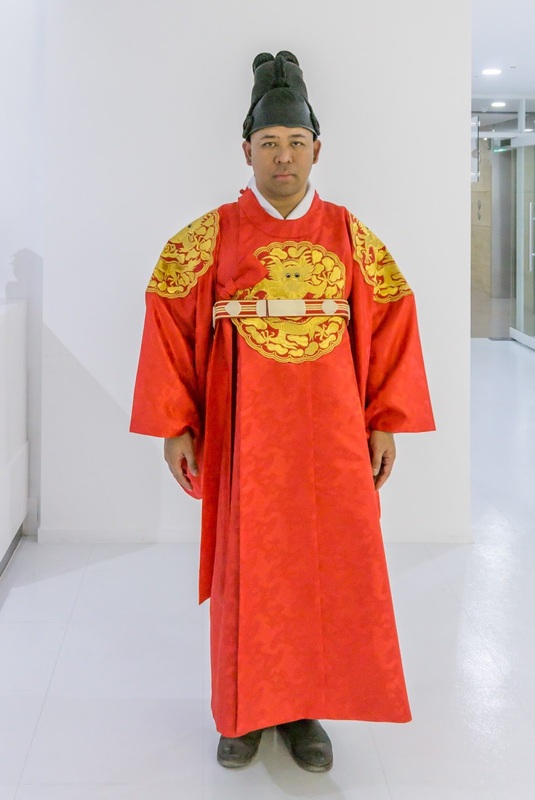 This one I've learned was an emperor's garb. 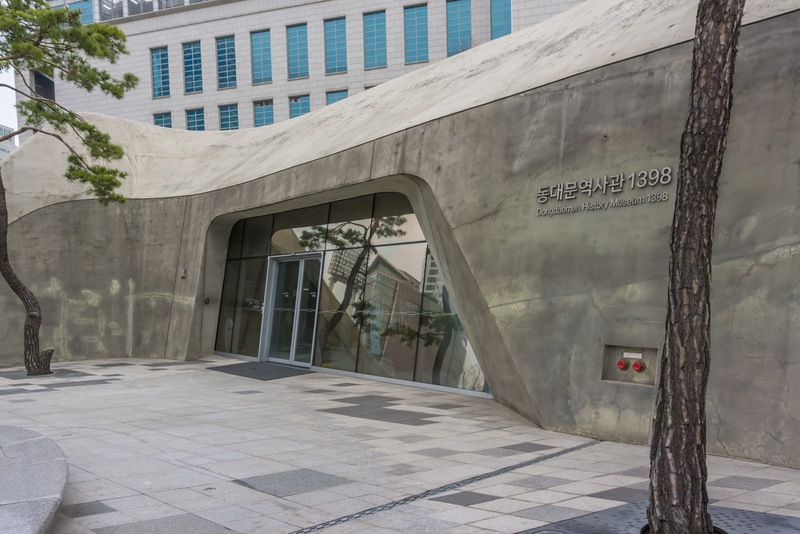 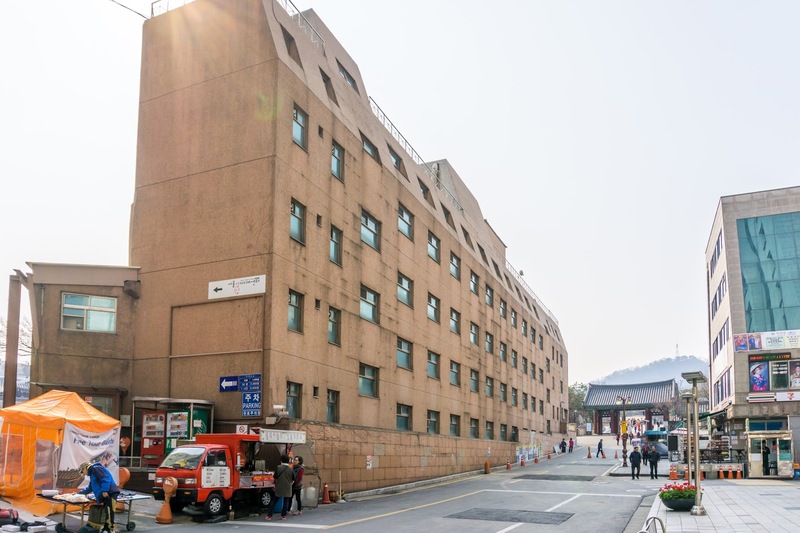 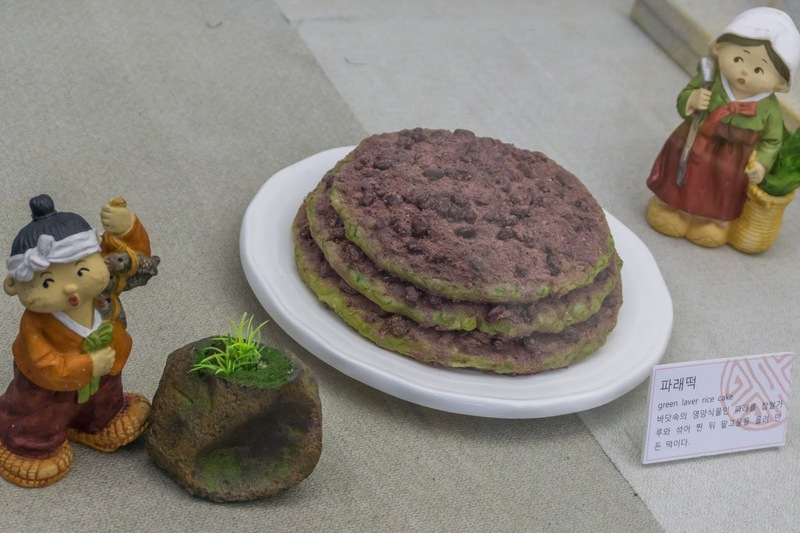 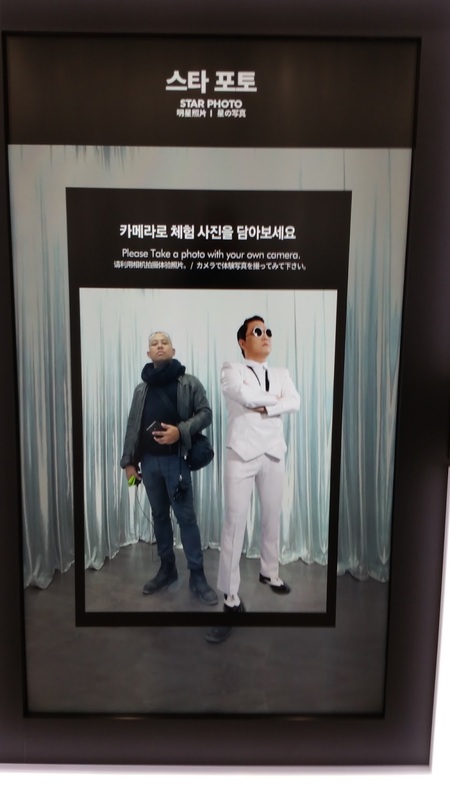 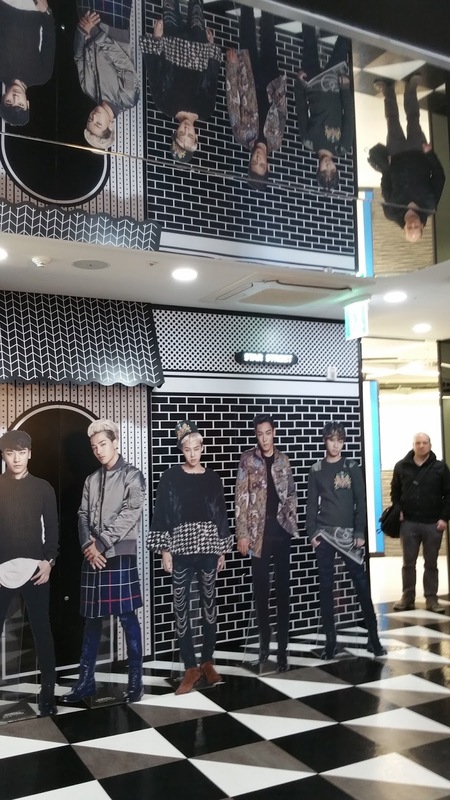 The Tourist Information Center has several floors, and we also visited some exhibitions they have, including photo opportunities and multimedia exhibitions with K-Pop-Stars. 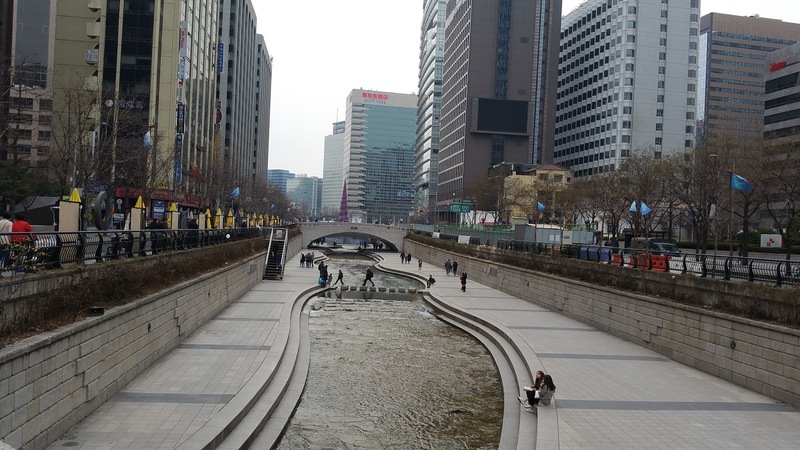 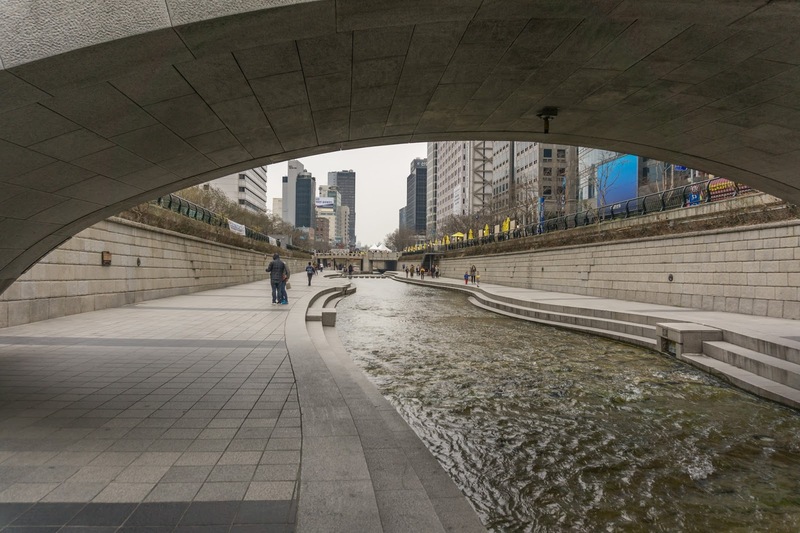 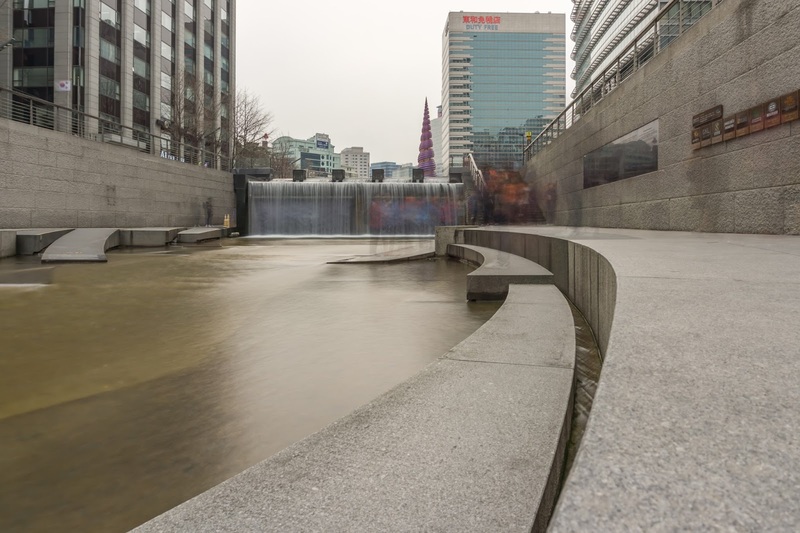 The Tourist Information is just in front of the Cheonggyecheon Stream, so, of course, we had to walk along it for a bit. 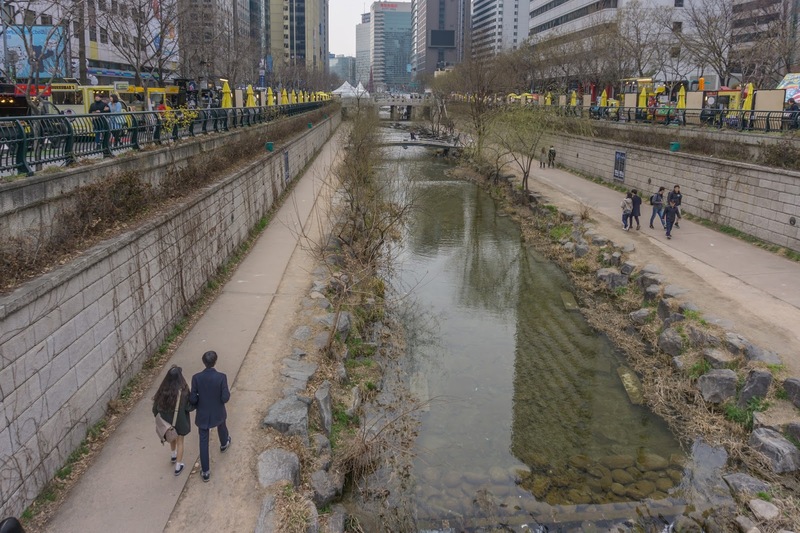 This is one massive urban renewal project on the site of a stream that flowed here before the rapid post-war economic development. 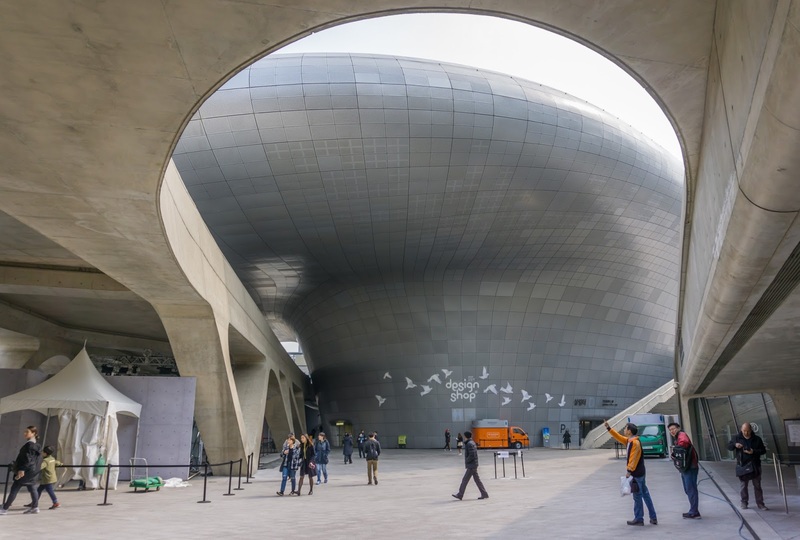 The $900 million project initially was heavily criticized but after opening in 2005 has become popular amongst residents and tourists. 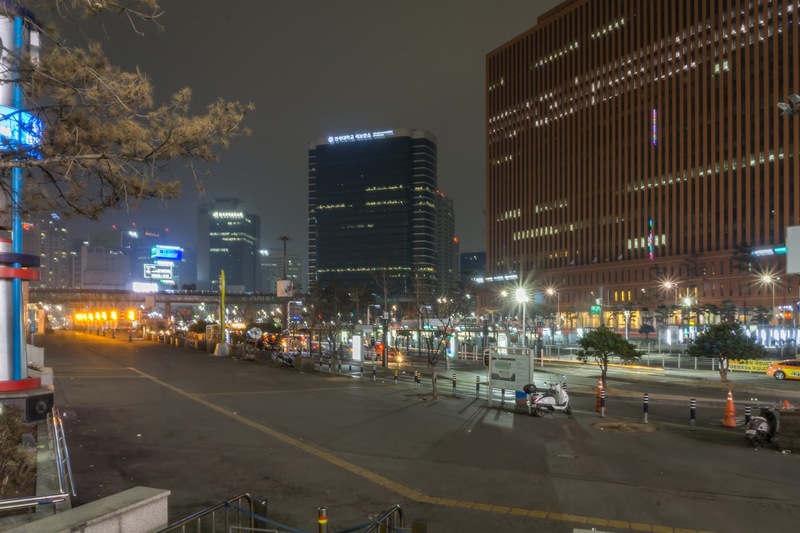 It becomes busy as the evening drew closer. 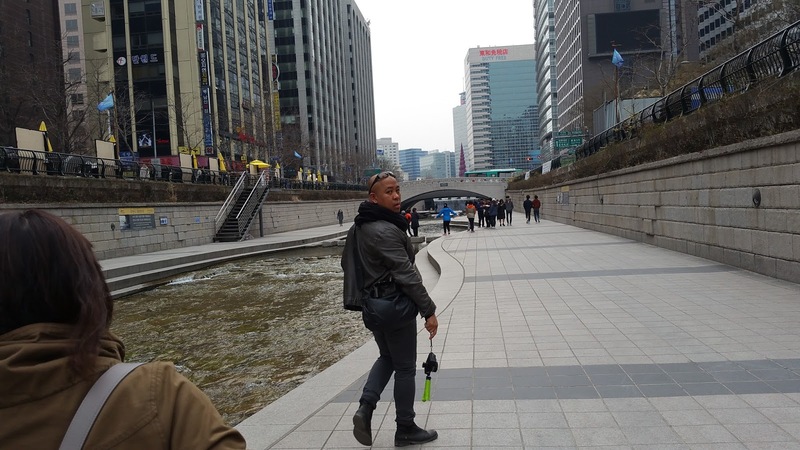 The stream was also one of the filming locations in the very much popular Netflix series, Sense8. 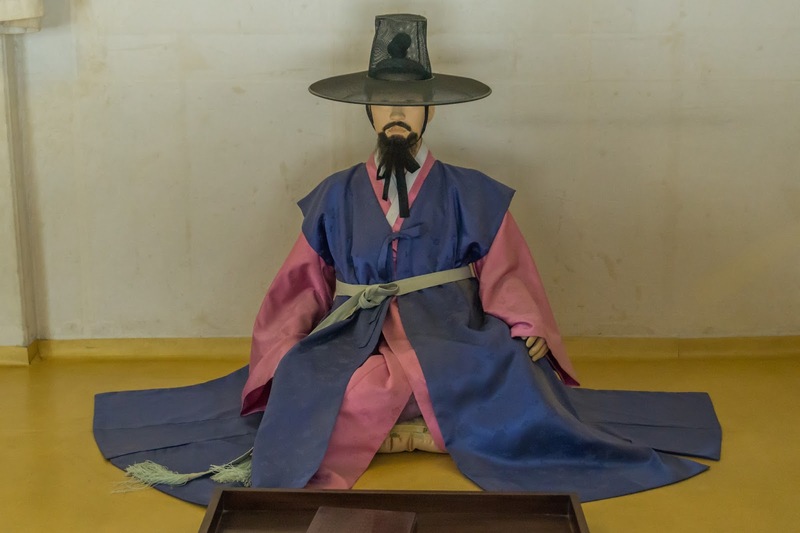 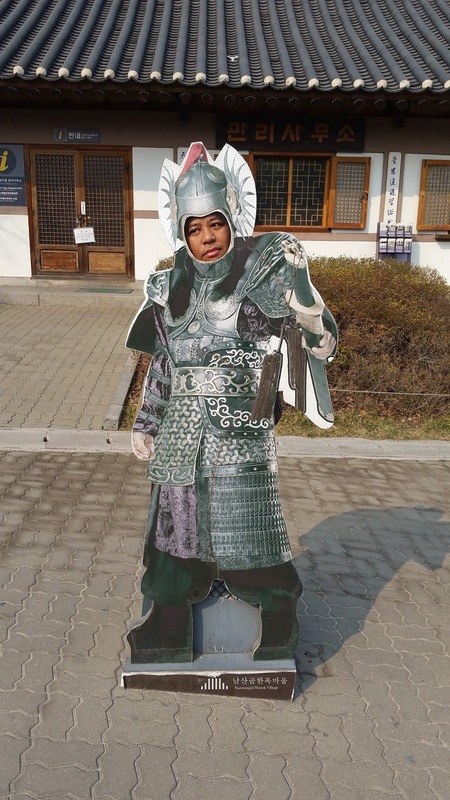 Initially, we wanted to go to the Gyeonghuigung Palace next, but it was too late. 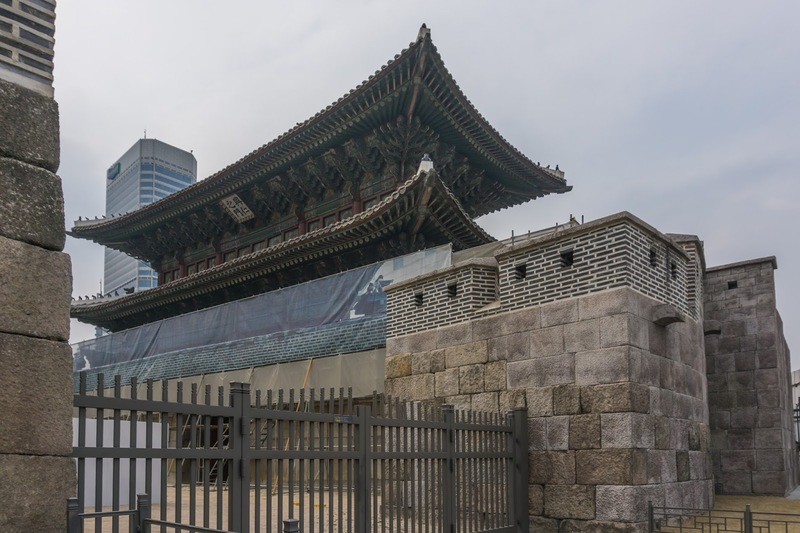 Fortunately, the Deoksugung Palace, which is just a few steps from the start of the stream, is open longer into the evening, so we went directly there. 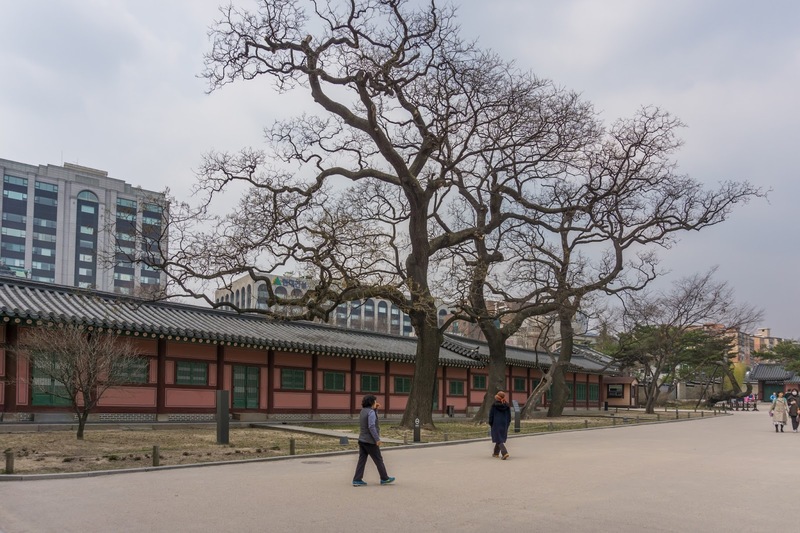 It is another park with interesting, magnificent buildings out of another time. 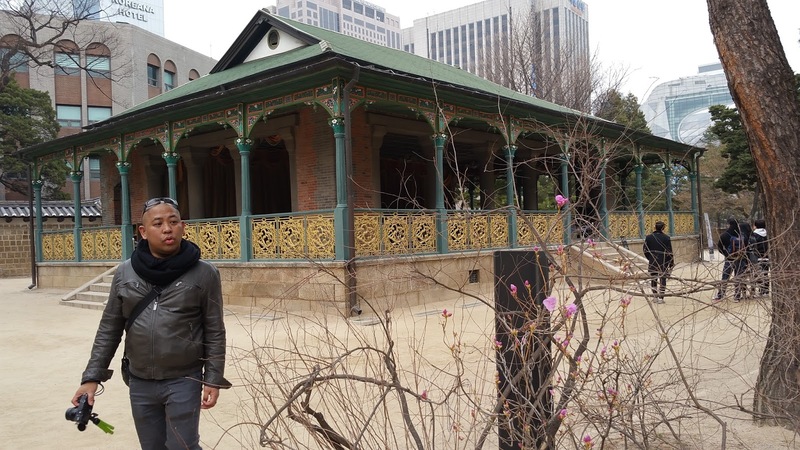 After some time at the Palace Park, we went back by subway to the Seoul Station to meet a friend of mine, who now lives in Seoul. 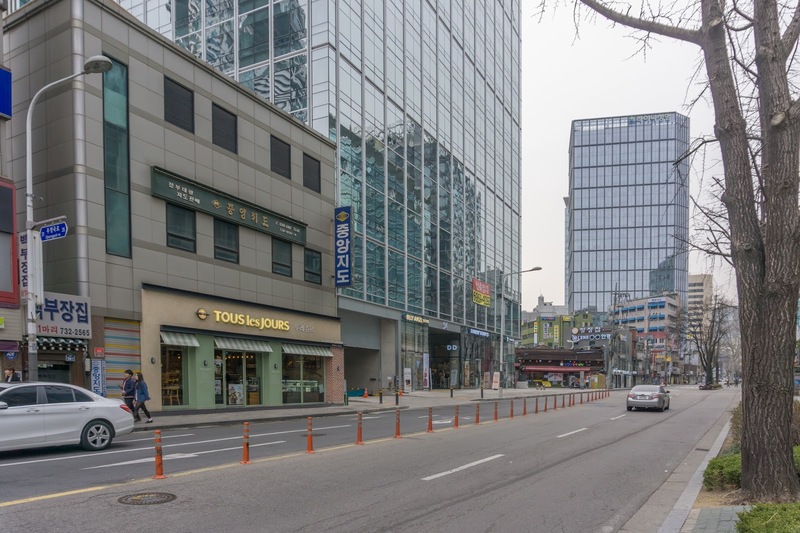 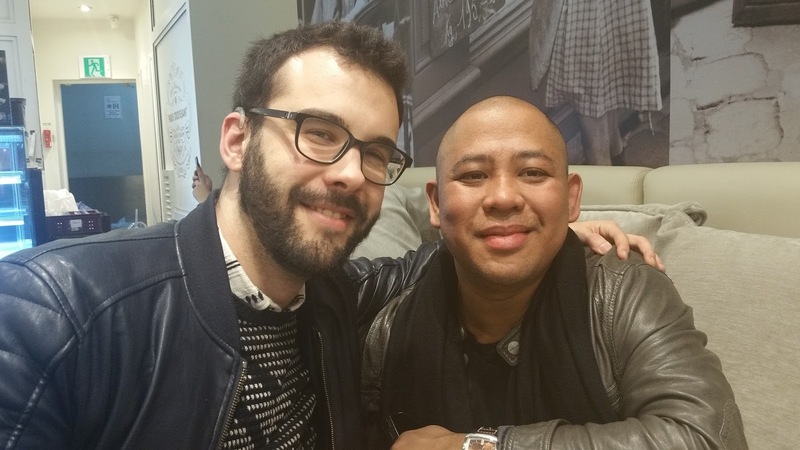 It was really nice to see him again, as we met for a coffee at one of the many Paris Baguette-Shops you find in South Korea, which also offers a lot of delicious baked goods. 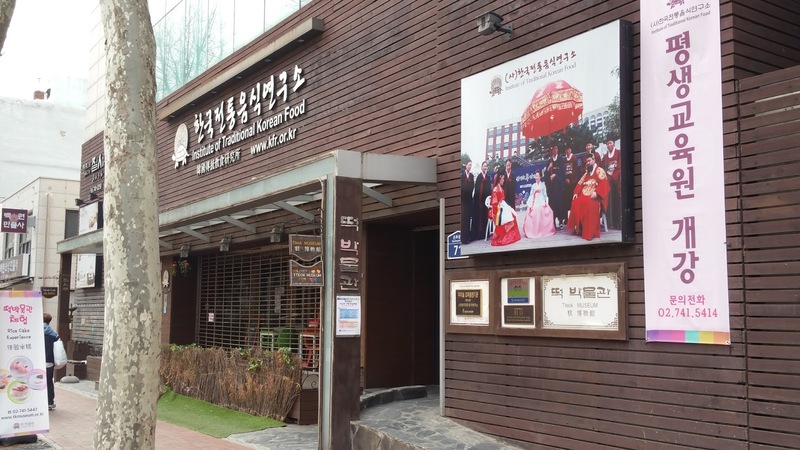 Later we had dinner at the station and returned to the hotel, after an exciting first day in Seoul.